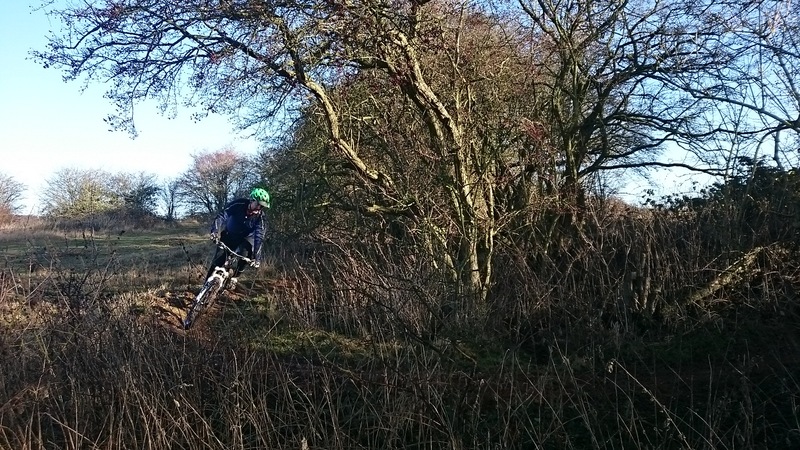 John was my final session before xmas and what a session it was. 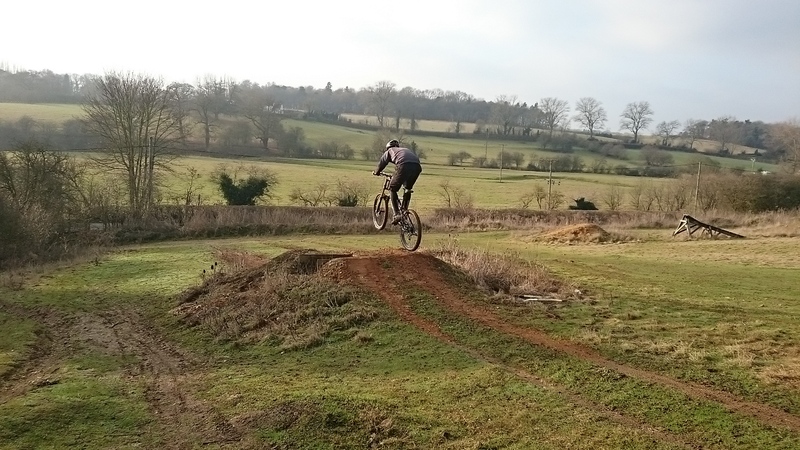 John wanted to learn to get air and jump, something he’d never done was jump and clear a tabletop. 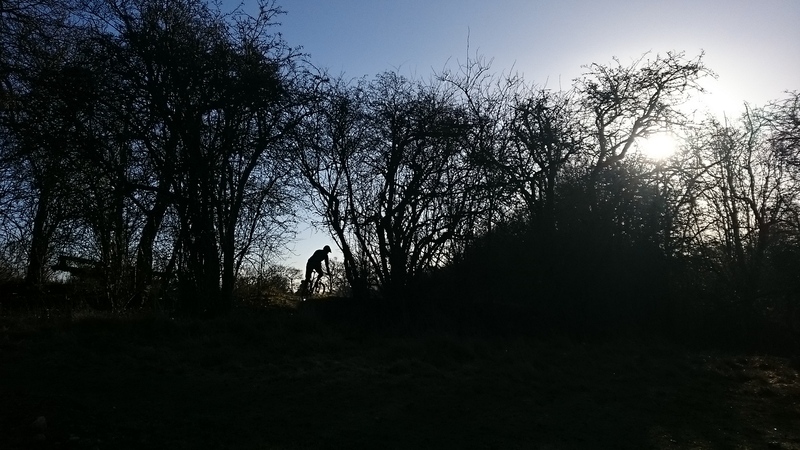 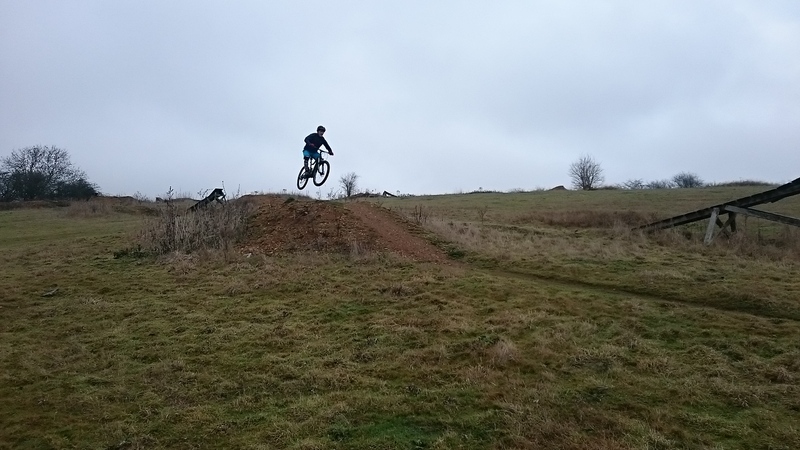 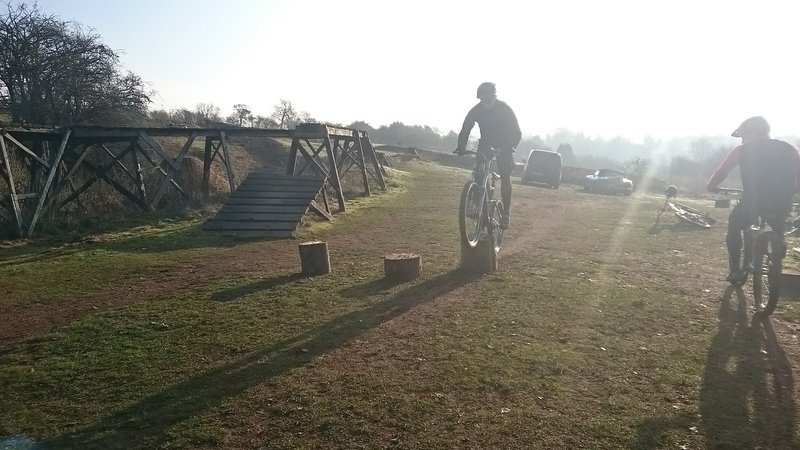 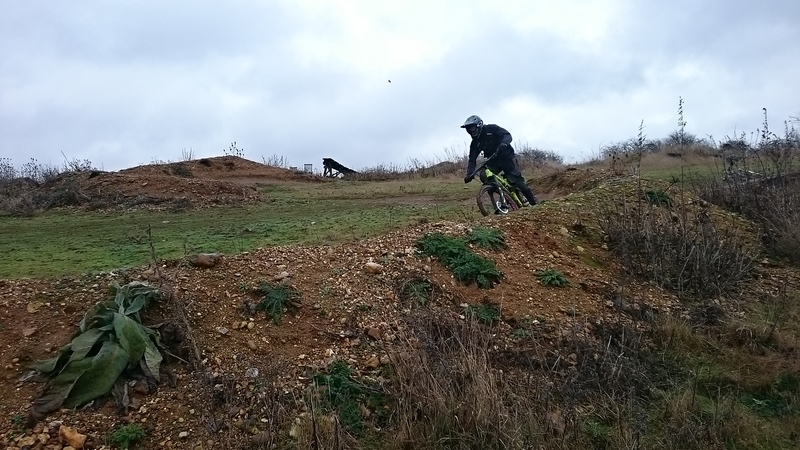 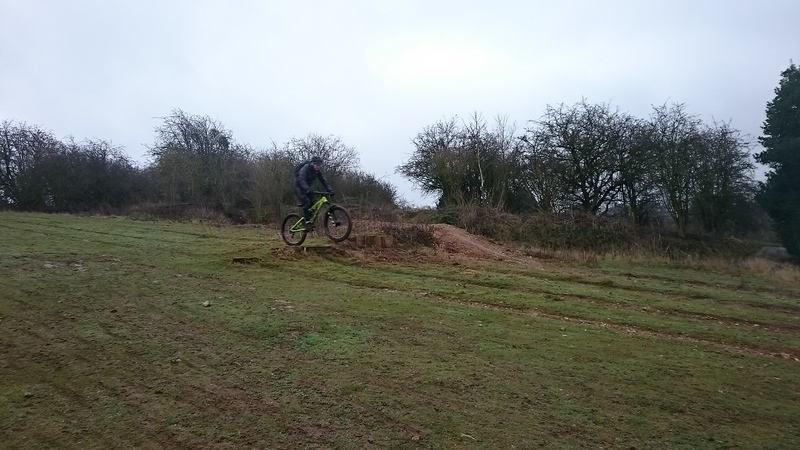 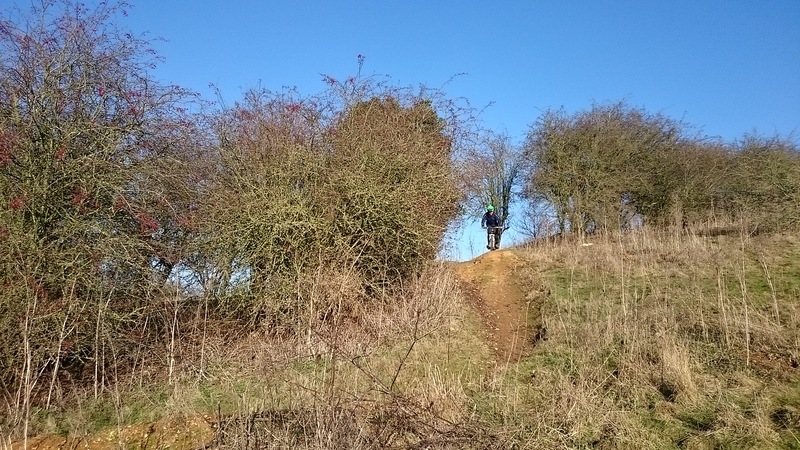 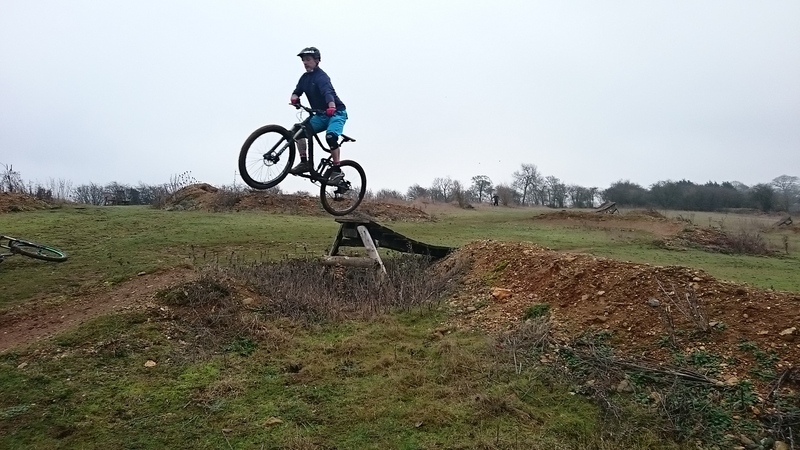 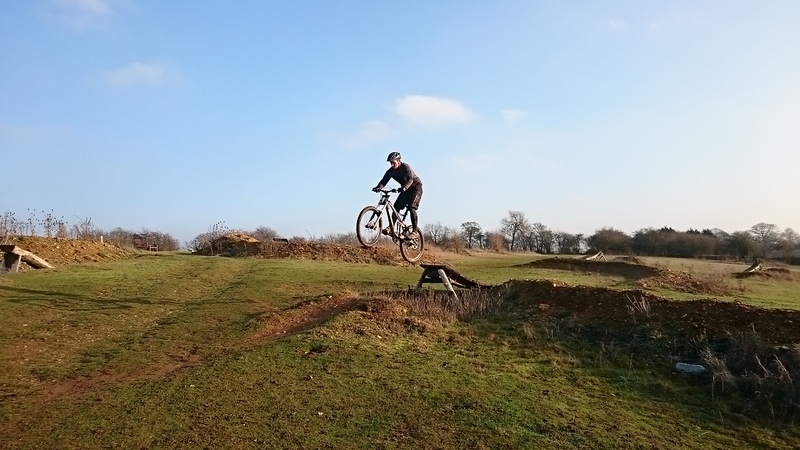 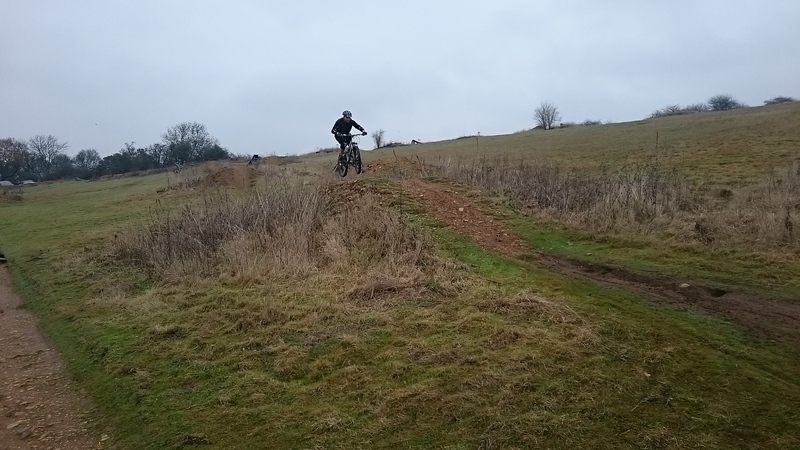 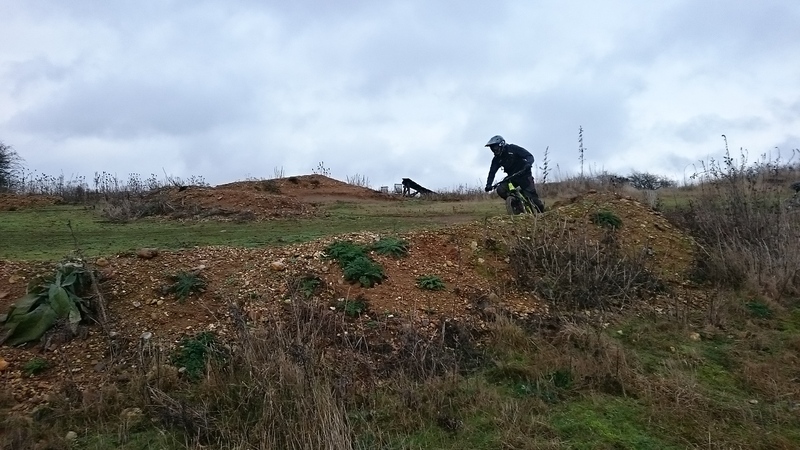 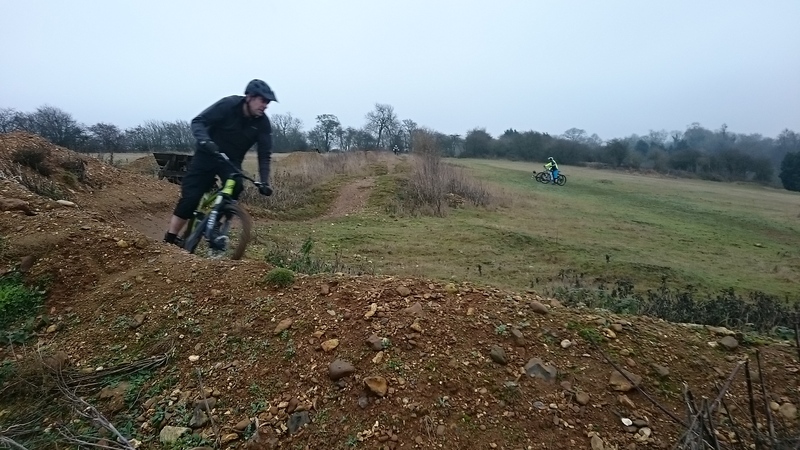 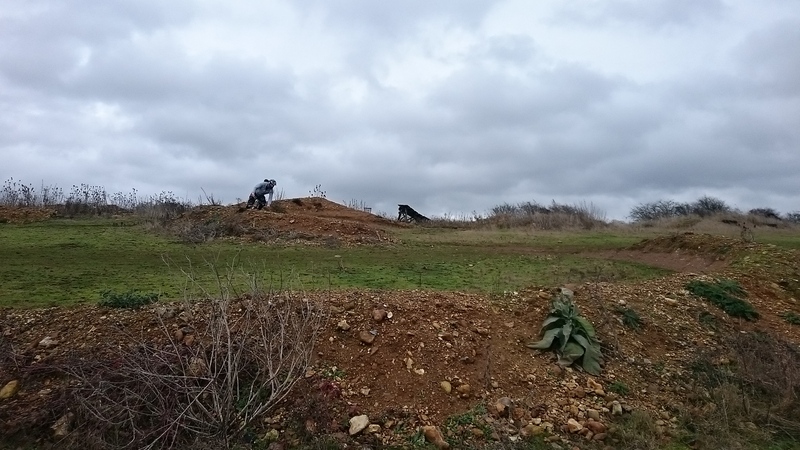 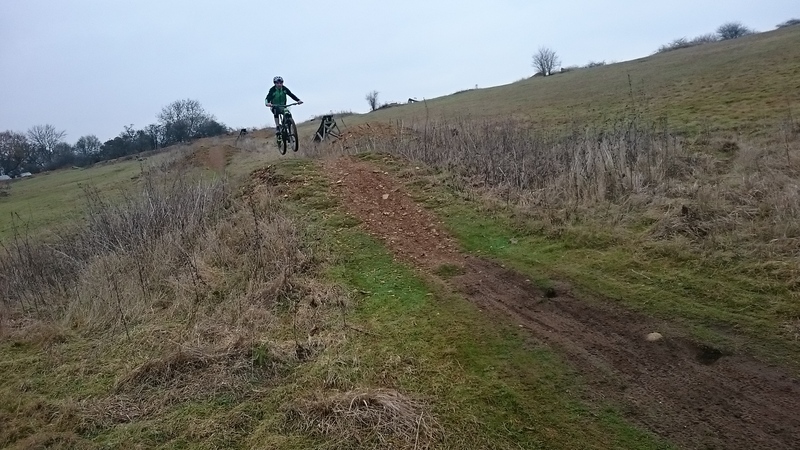 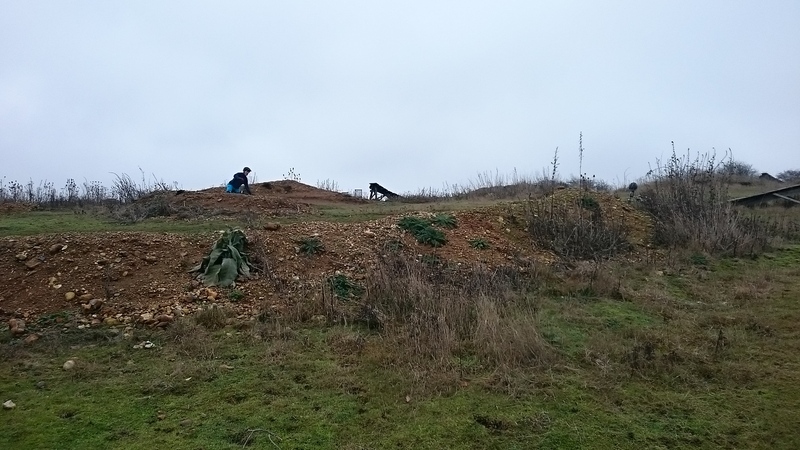 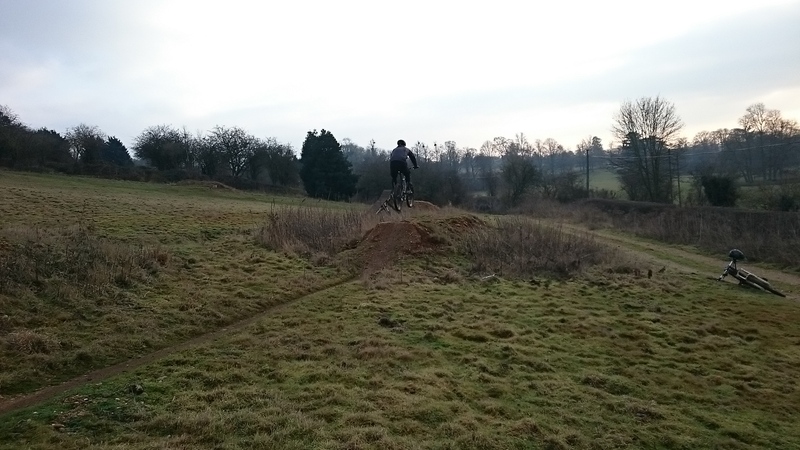 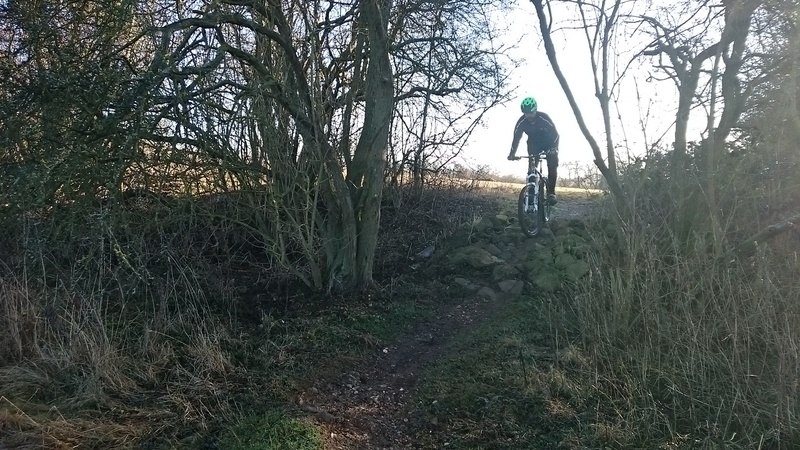 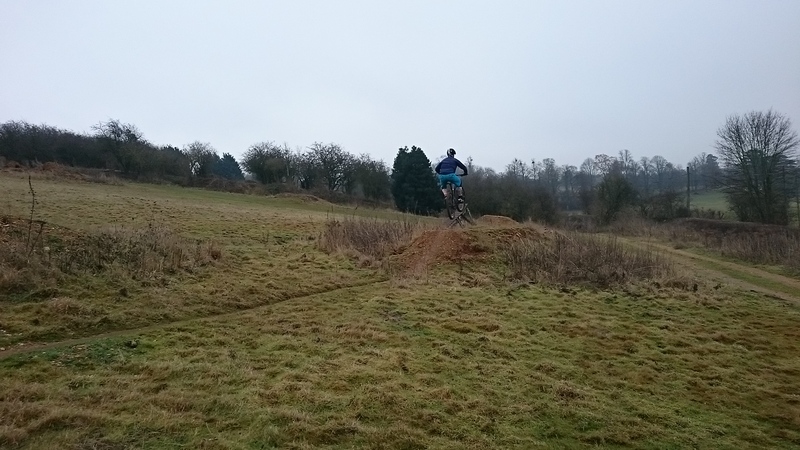 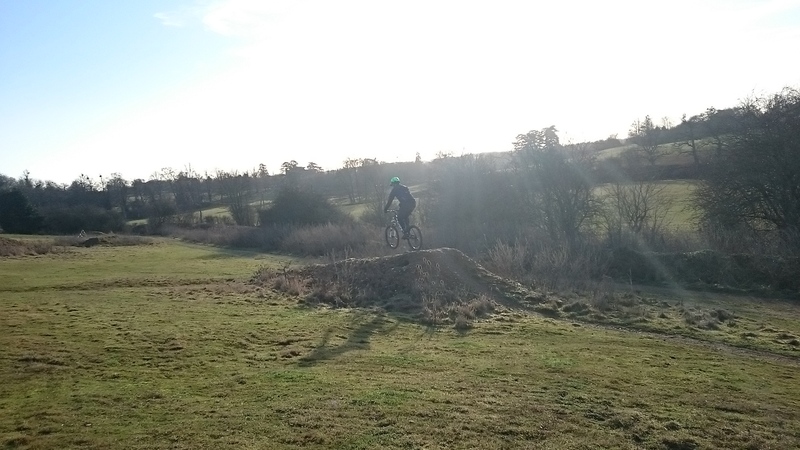 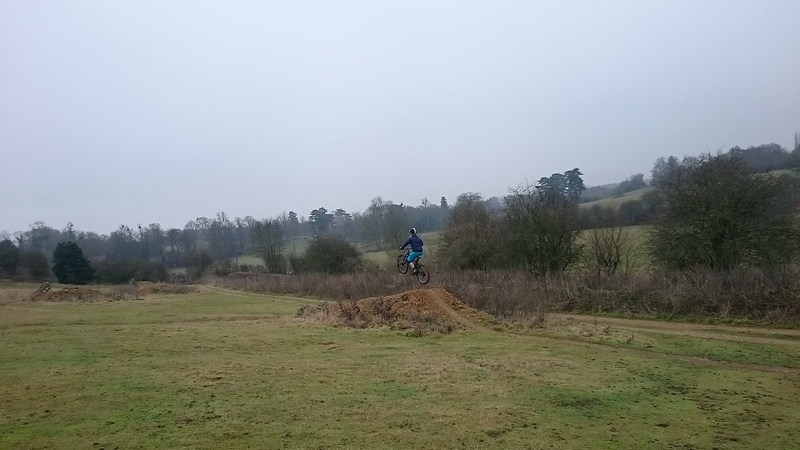 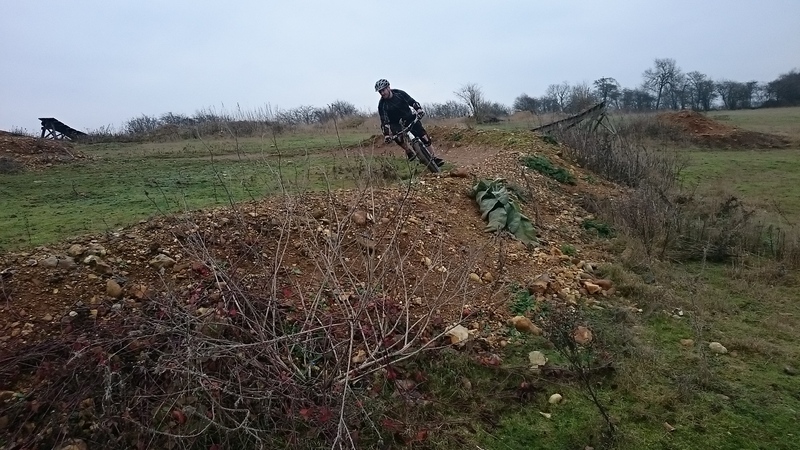 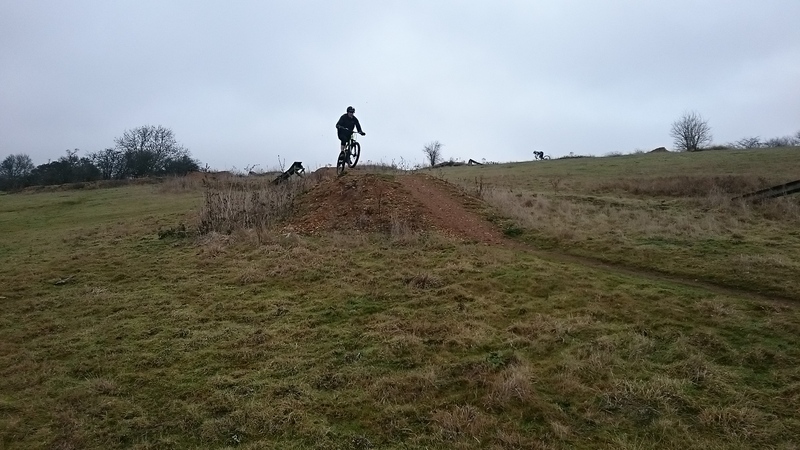 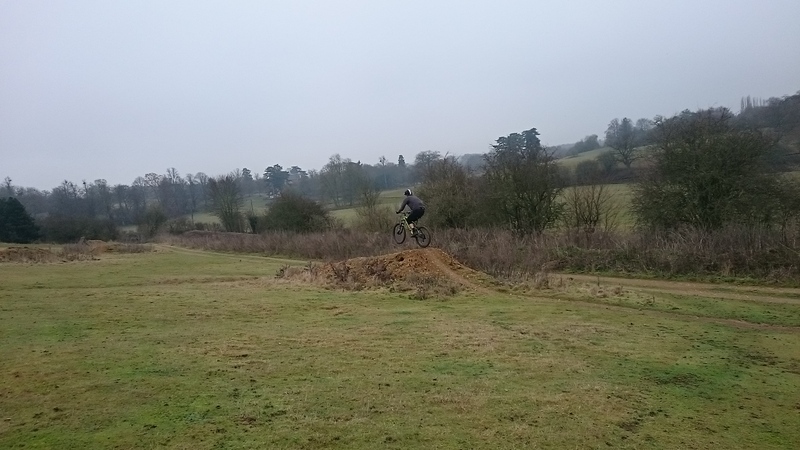 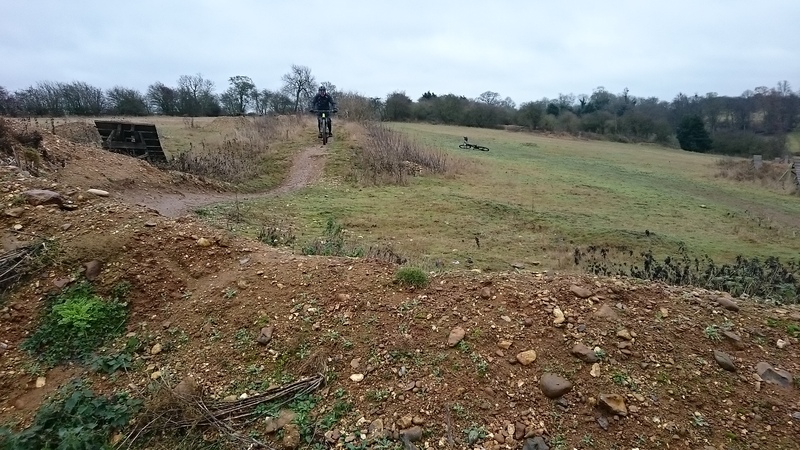 Well, all that changed pretty quickly and the session saw him riding drops to 3ft, clearing 6ft tabletops and linking jumps on a trail along with cornering too. 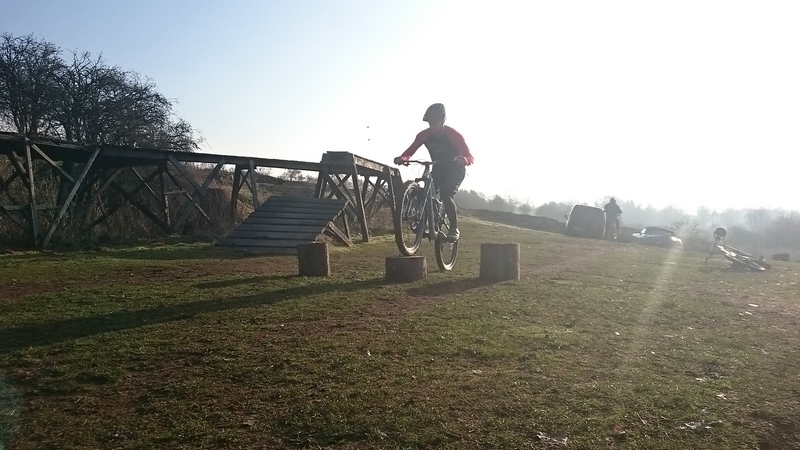 Cracking session and great improvements. 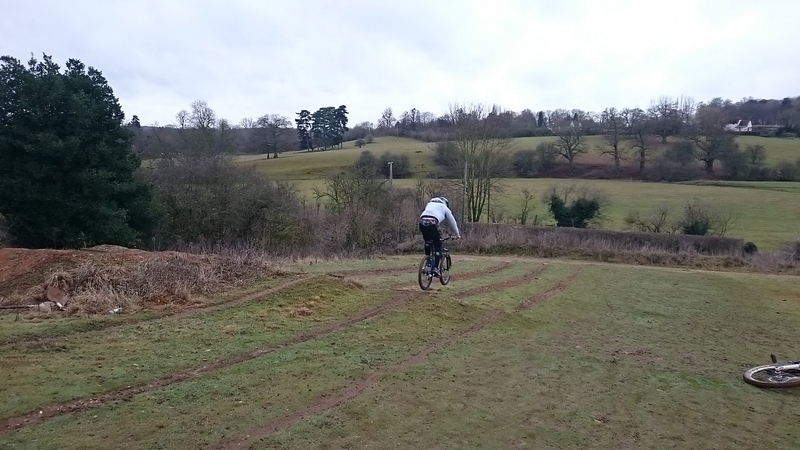 A tyre blowing off the rim when landing a drop a couple of months ago had really affected Phils mental skills. 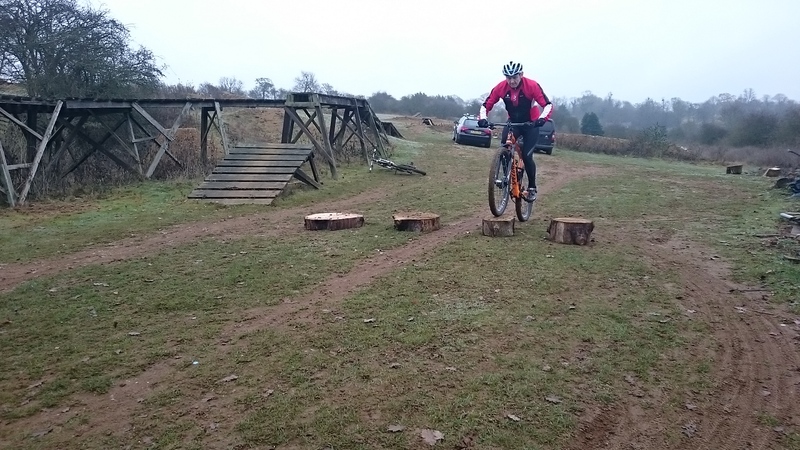 equipment failures are scary and can sometimes lead to this drop in confidence and commitment in cycling. 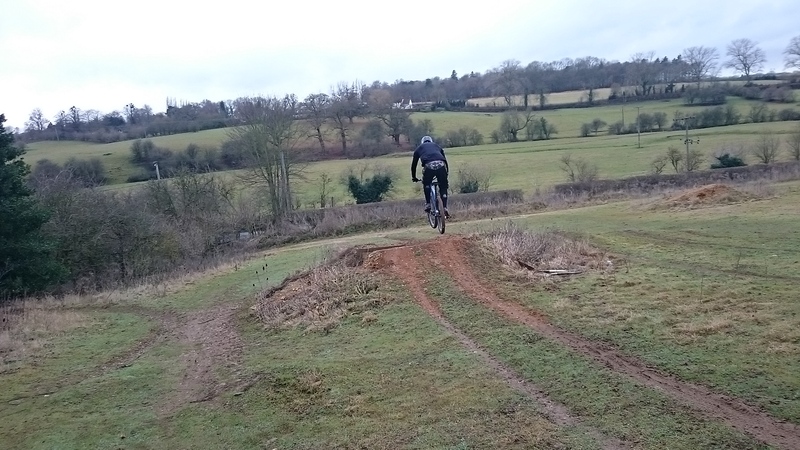 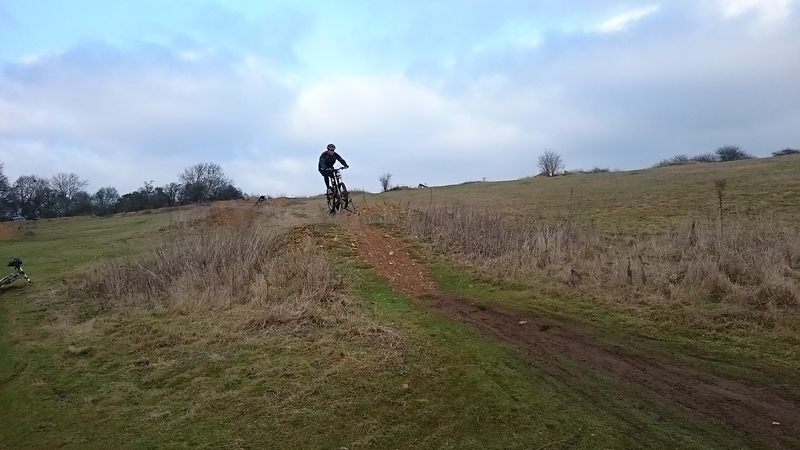 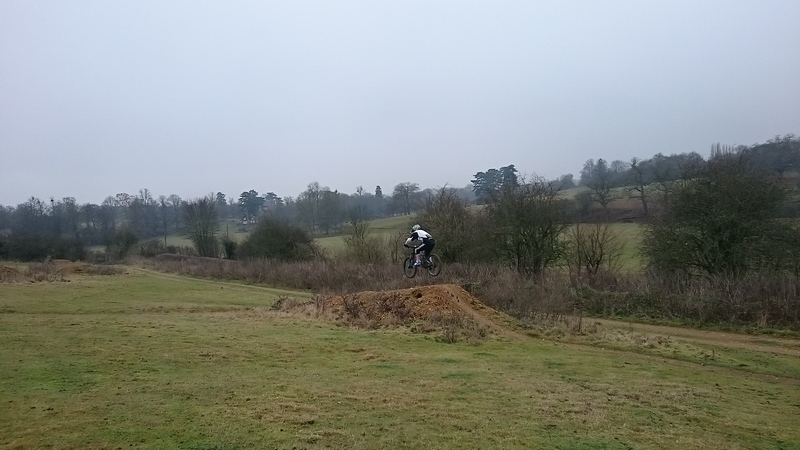 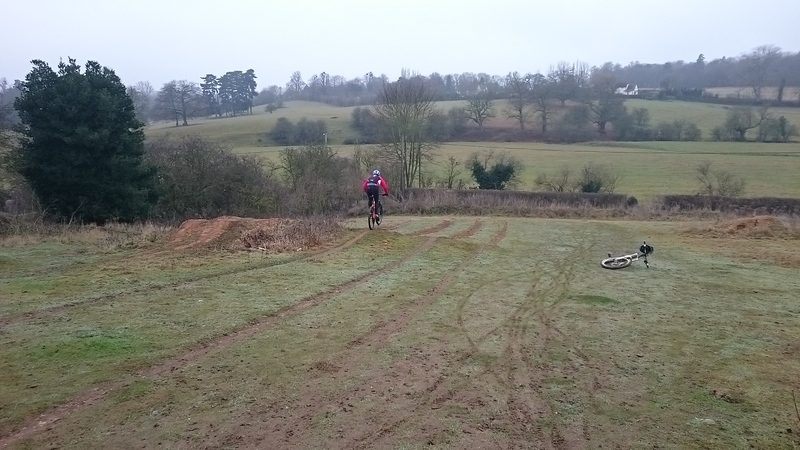 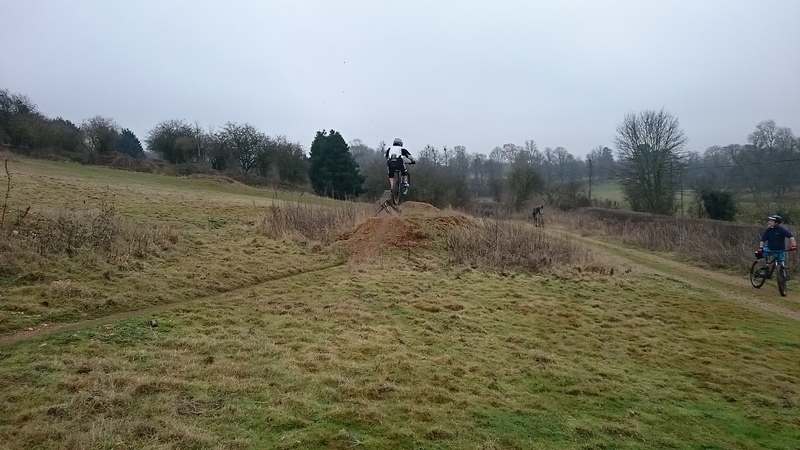 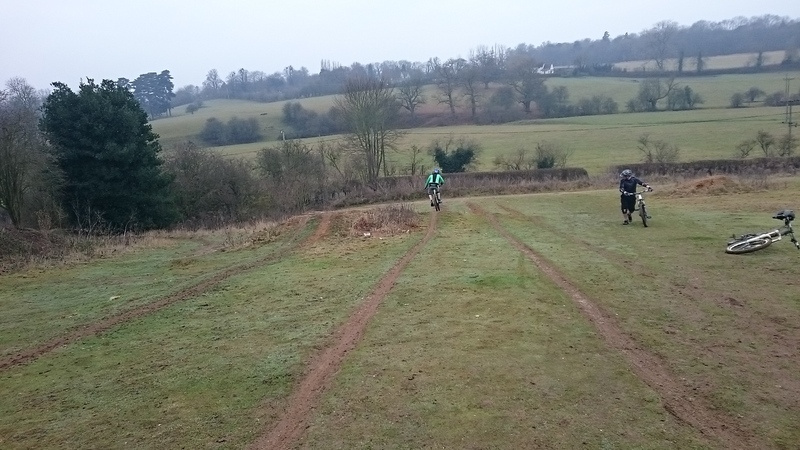 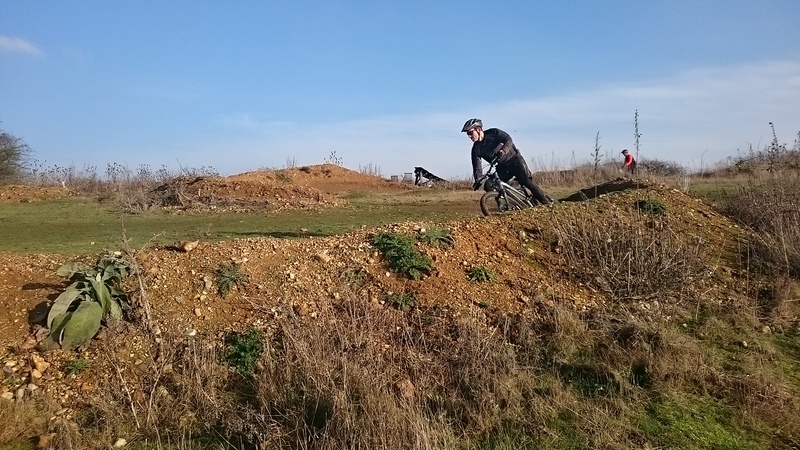 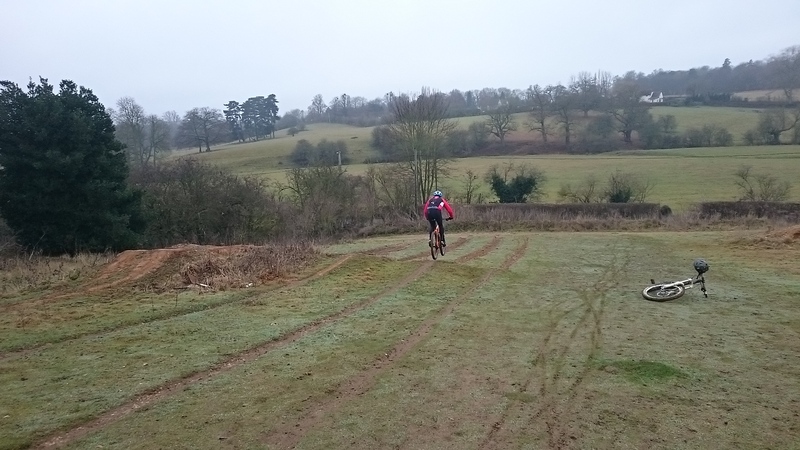 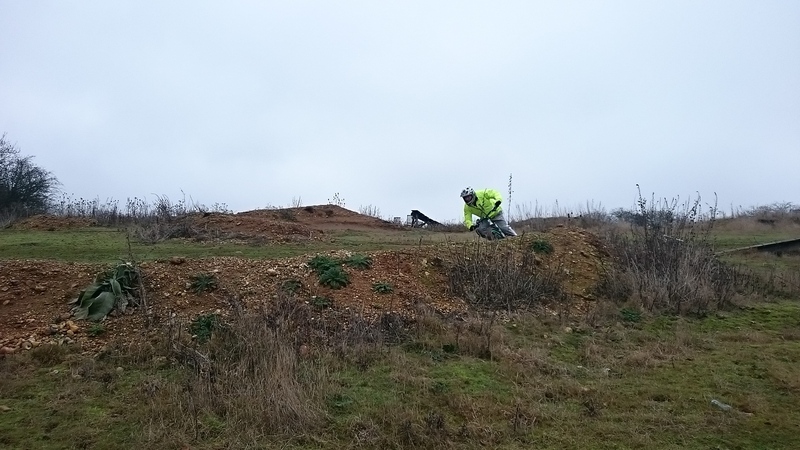 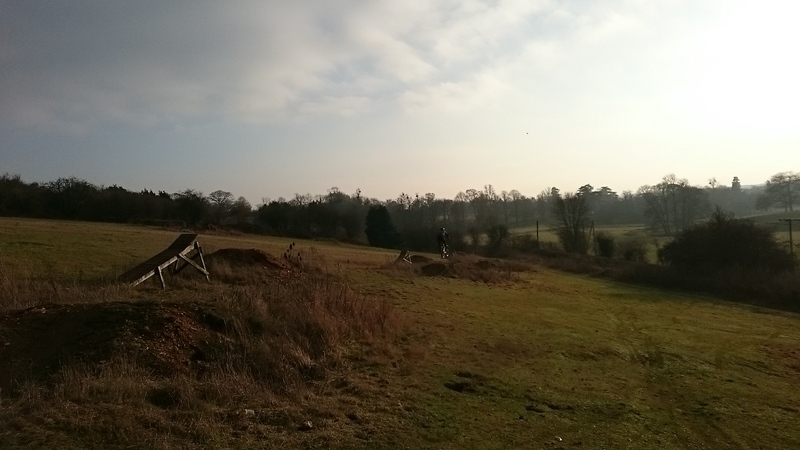 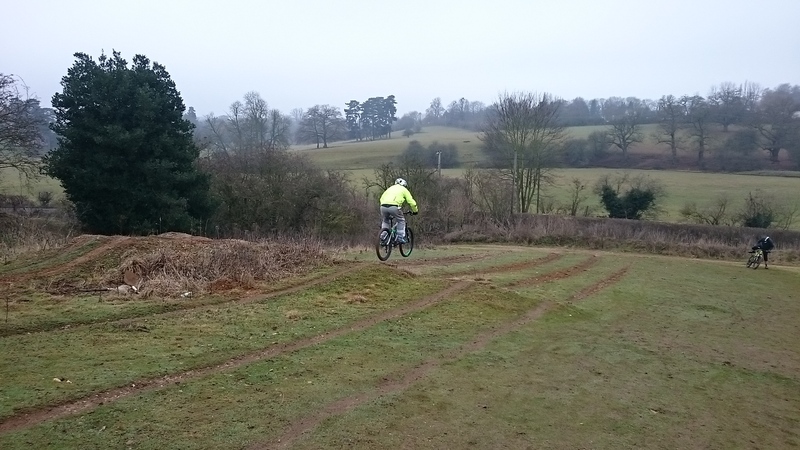 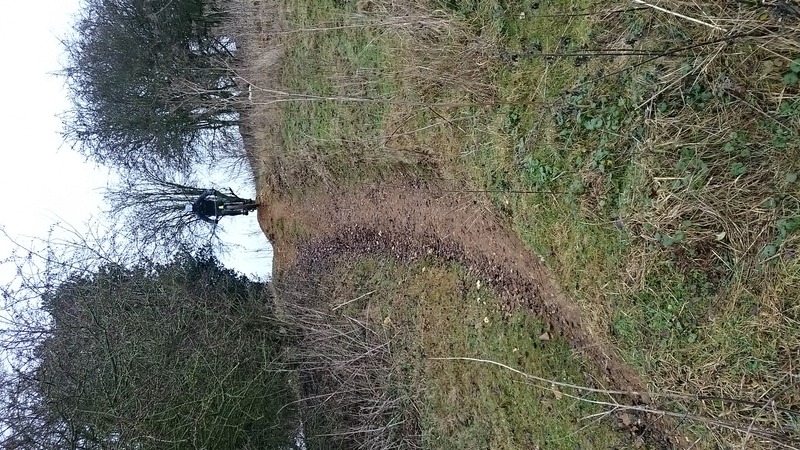 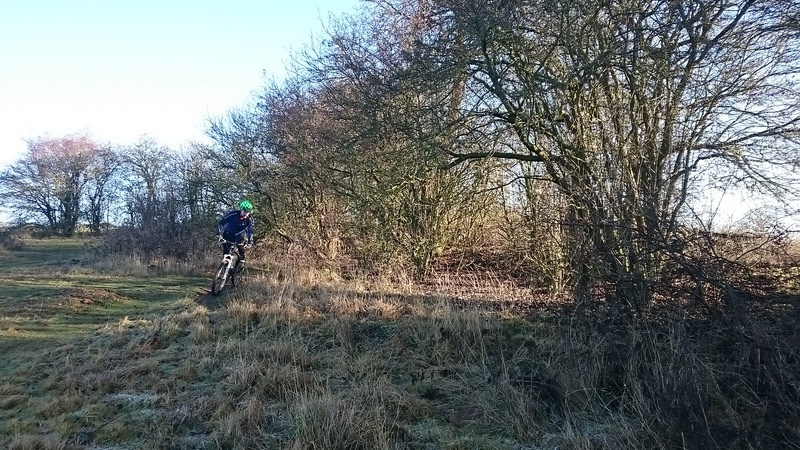 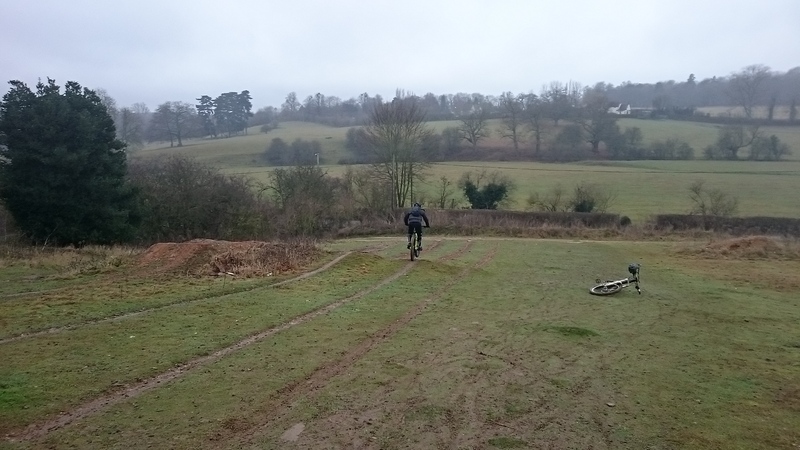 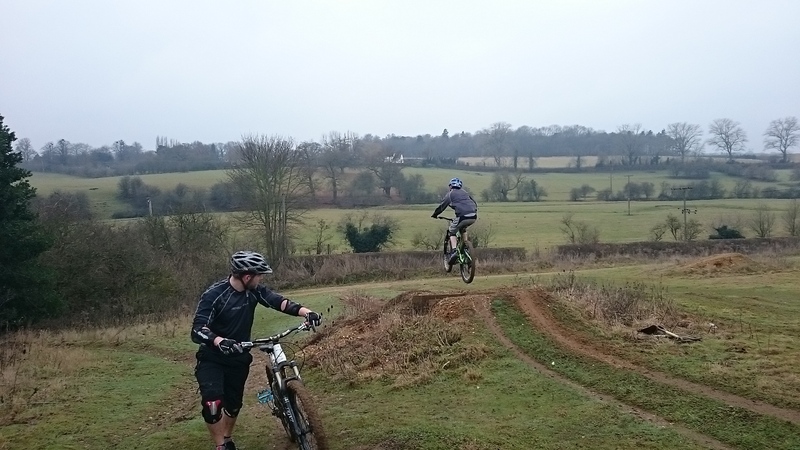 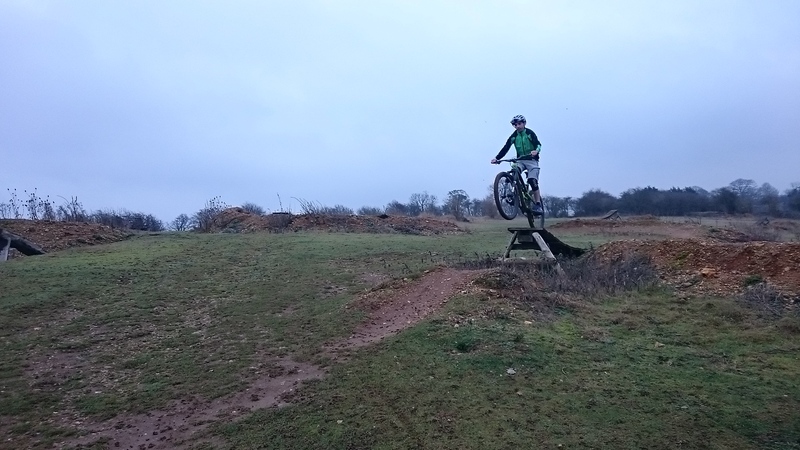 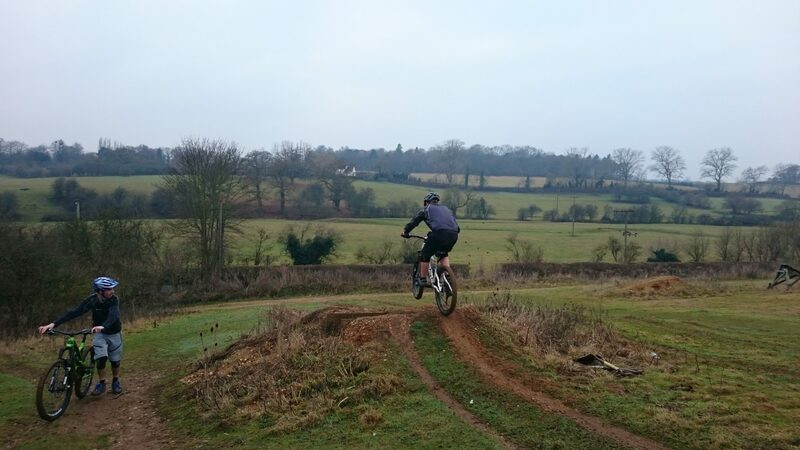 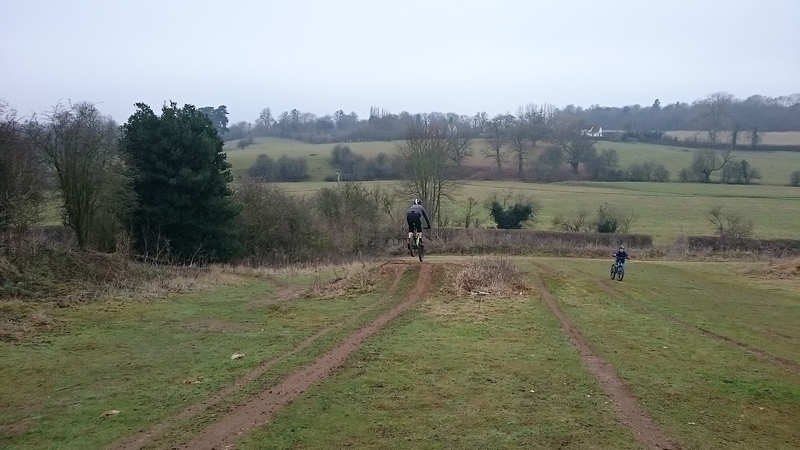 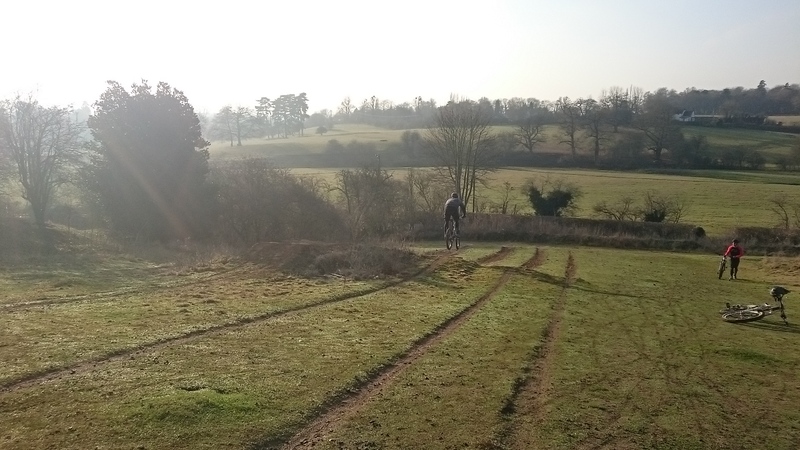 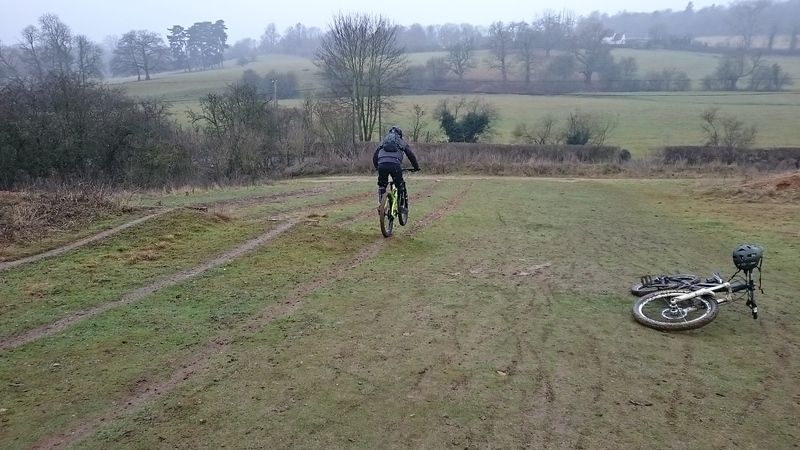 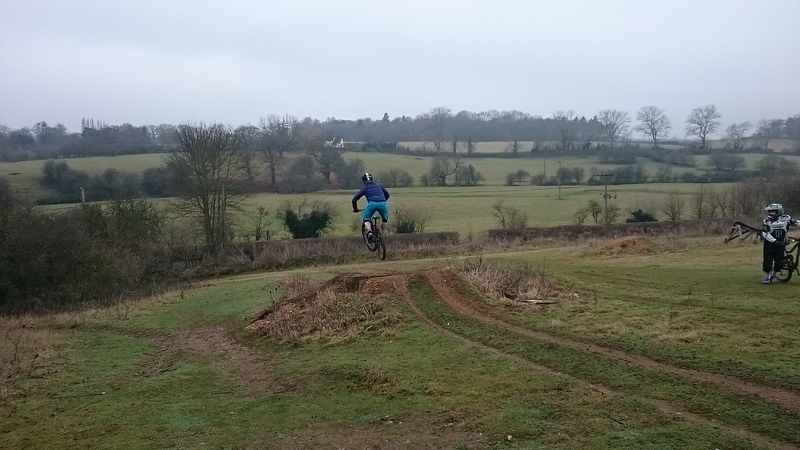 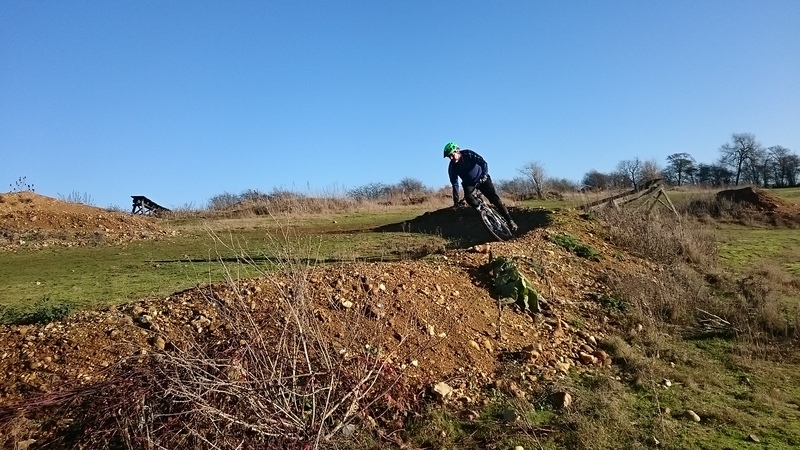 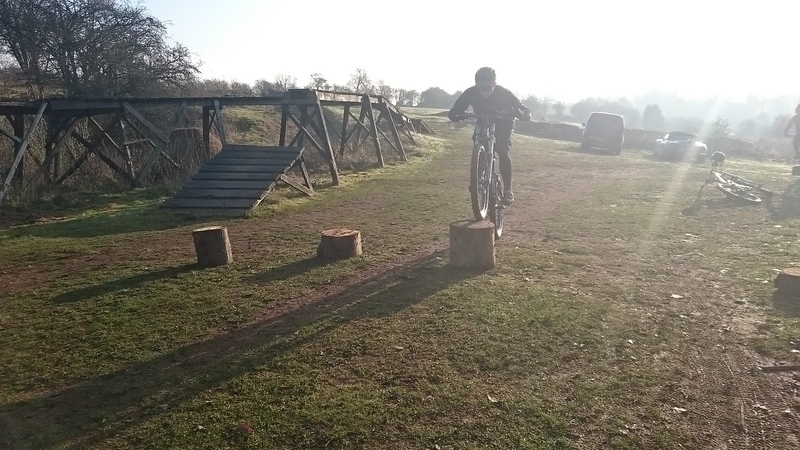 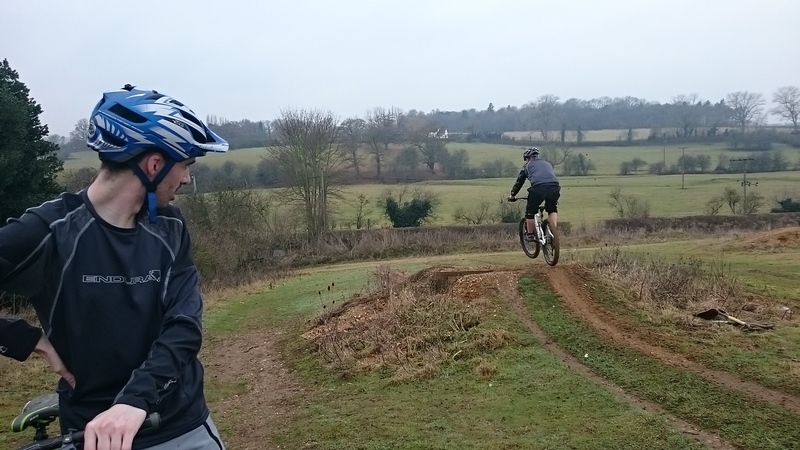 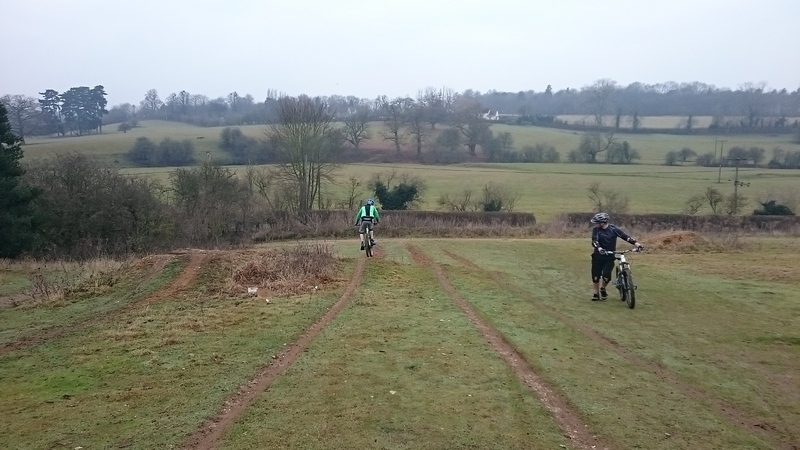 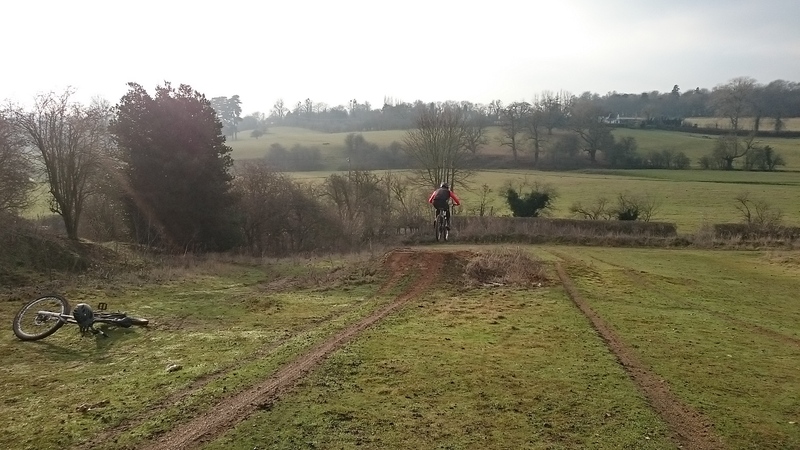 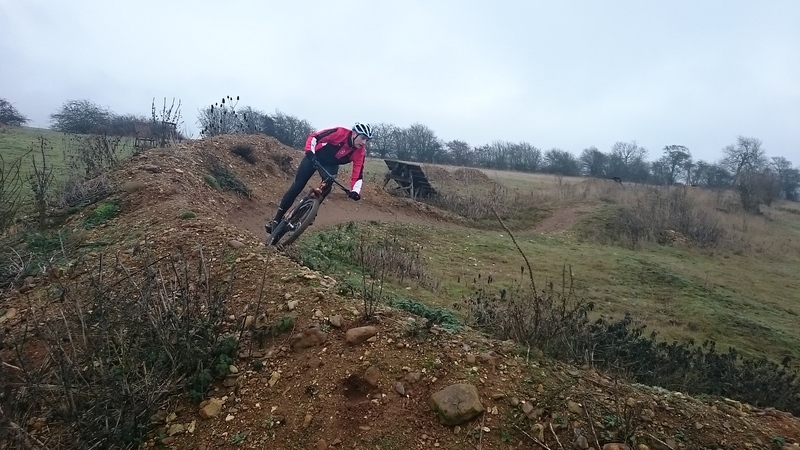 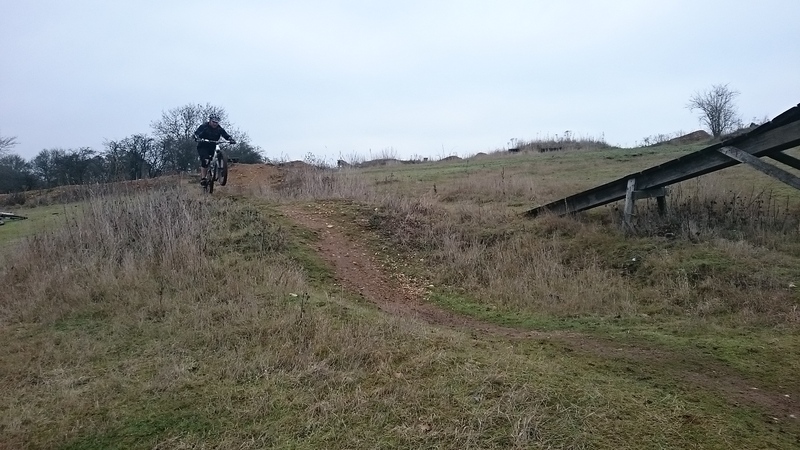 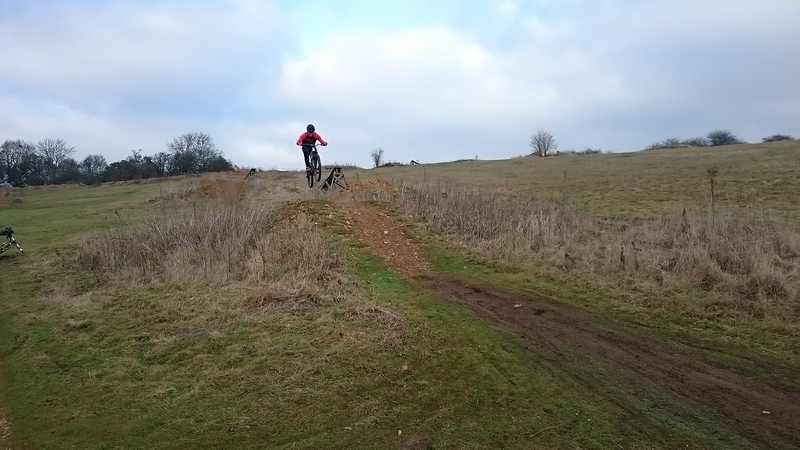 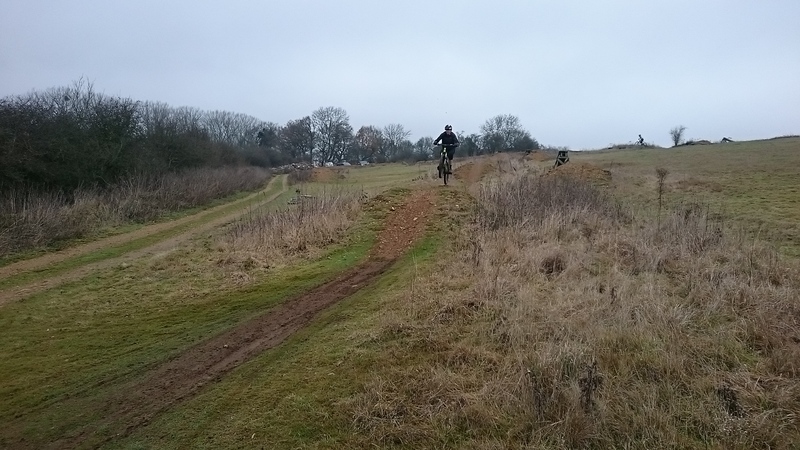 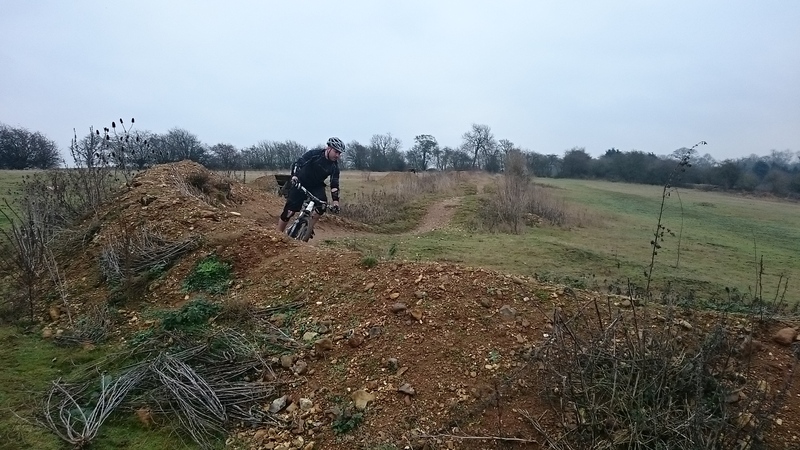 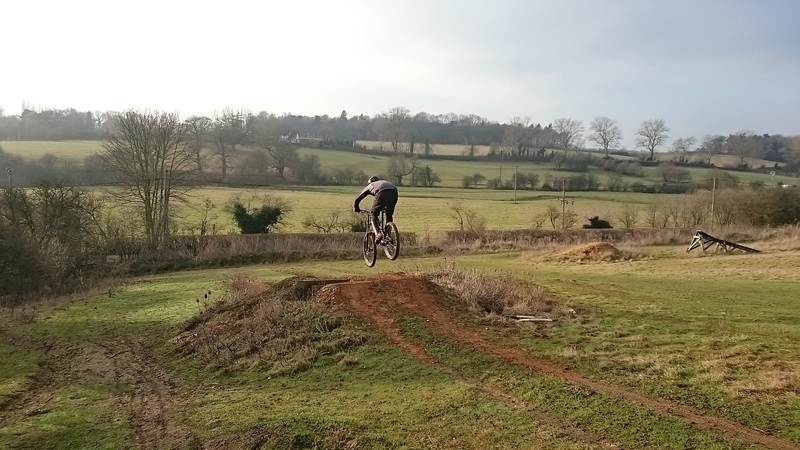 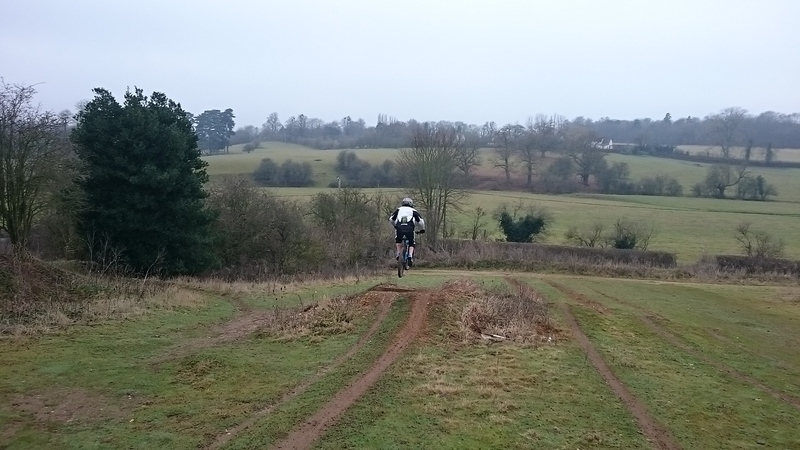 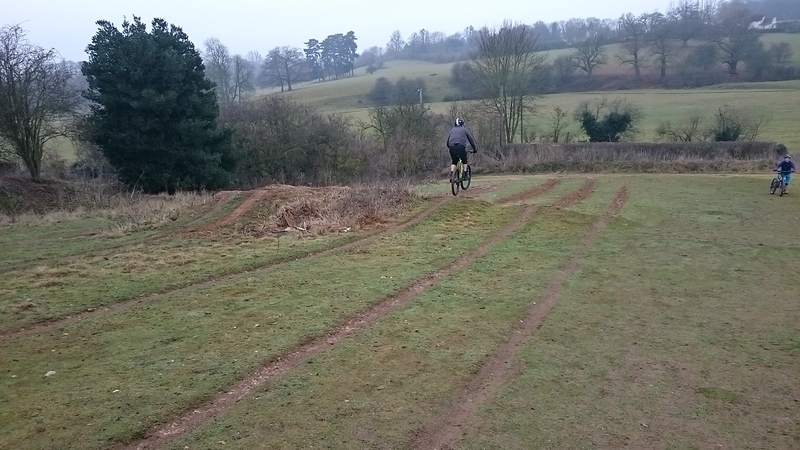 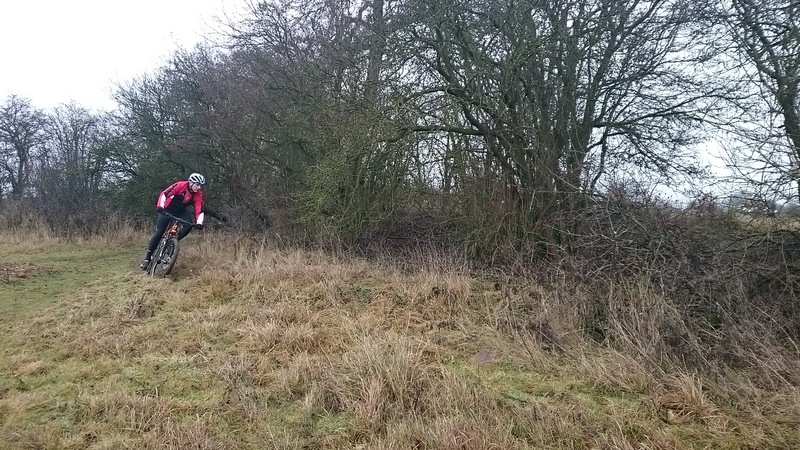 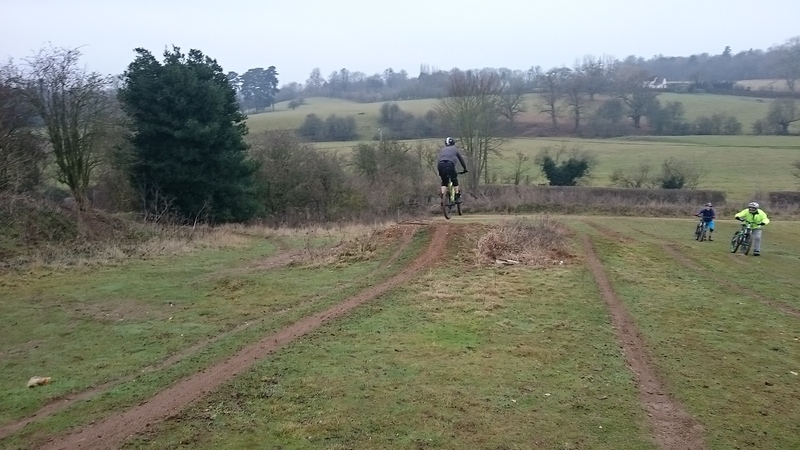 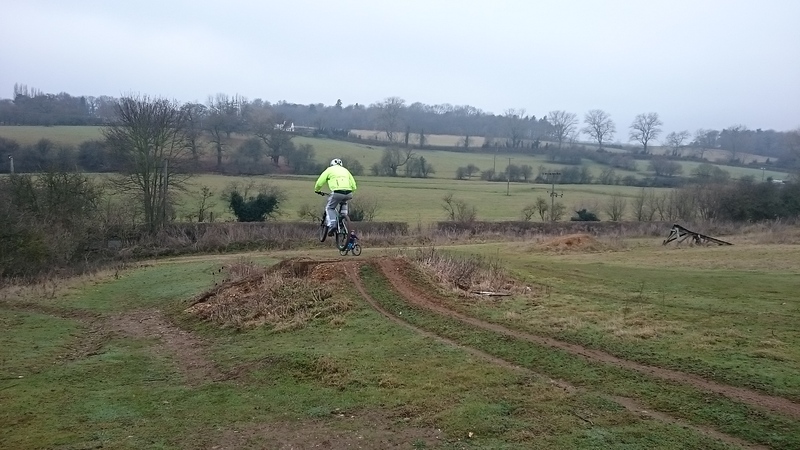 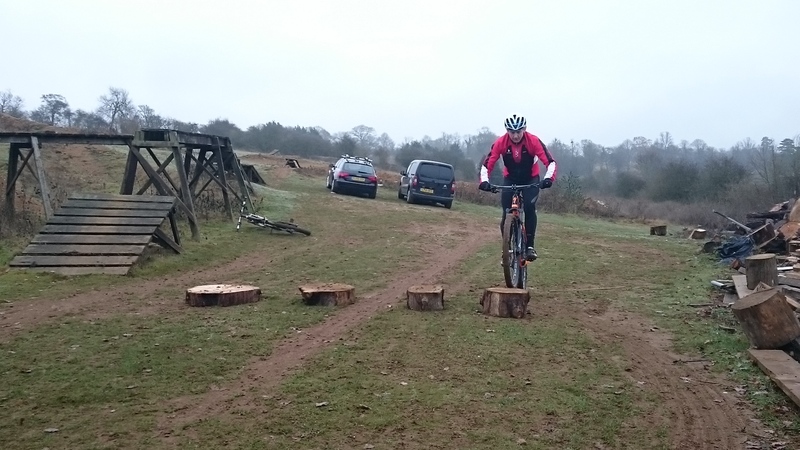 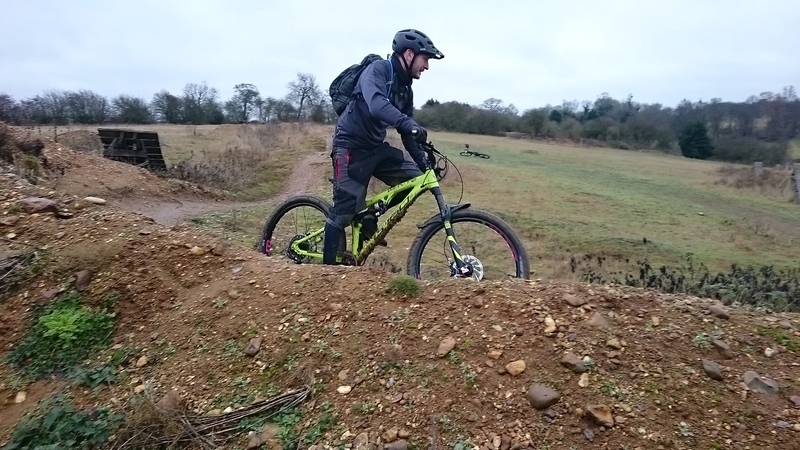 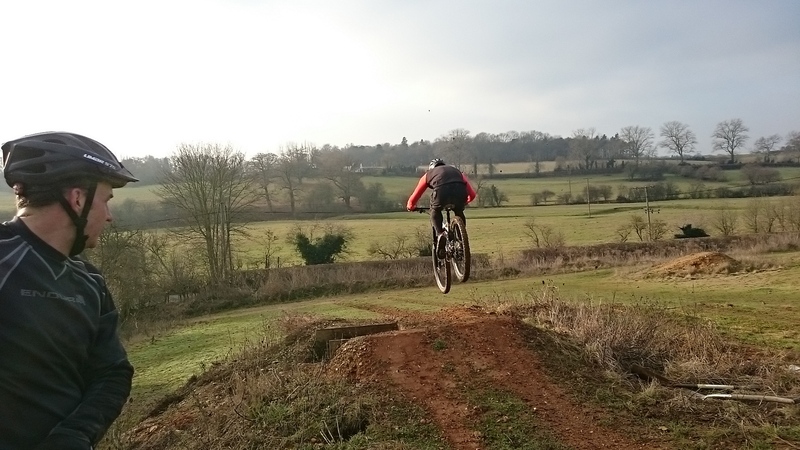 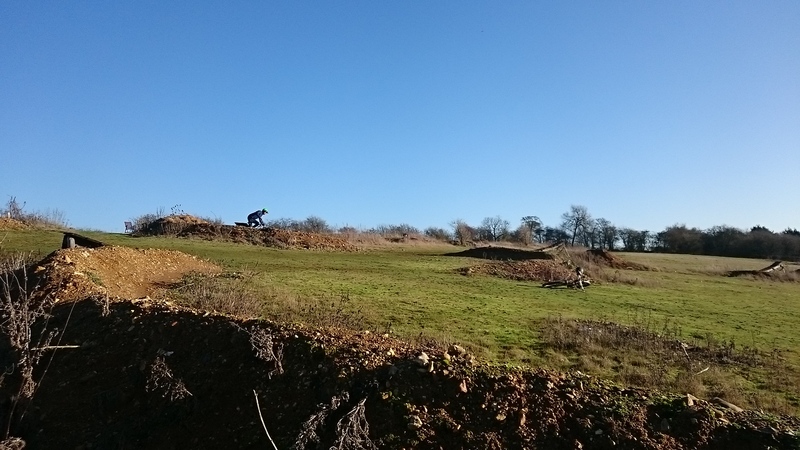 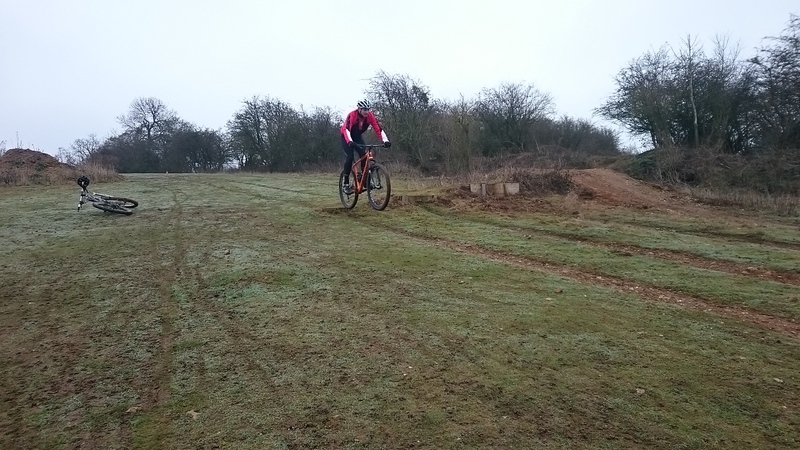 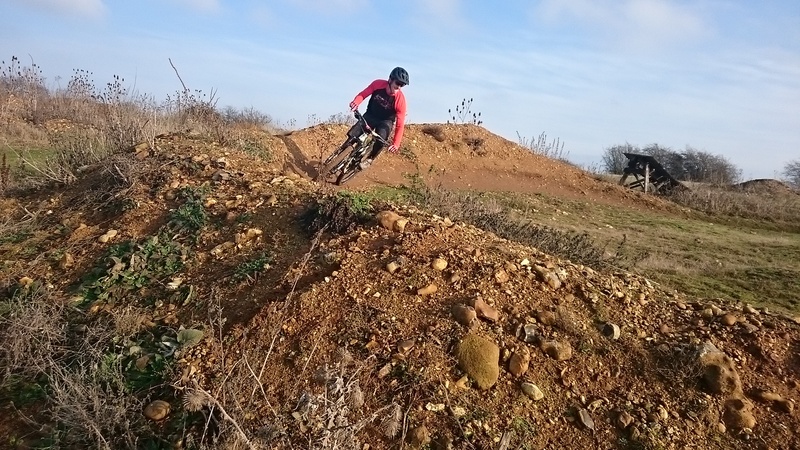 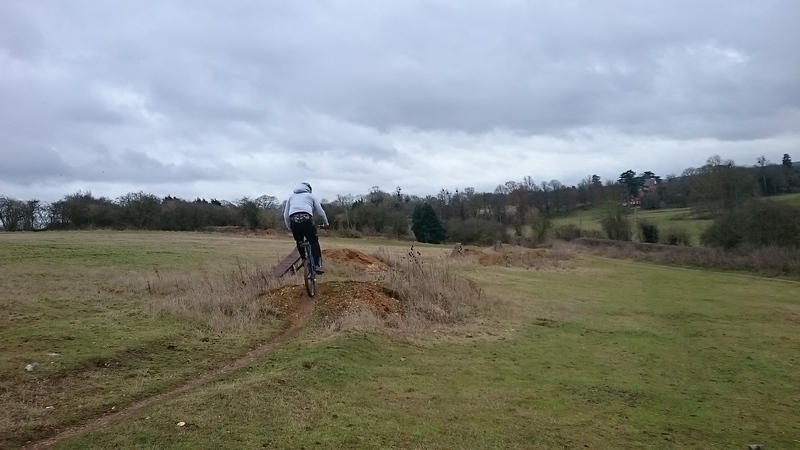 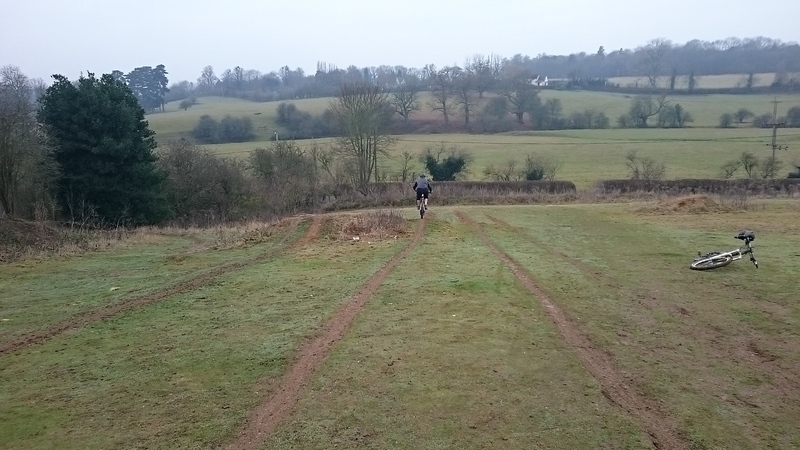 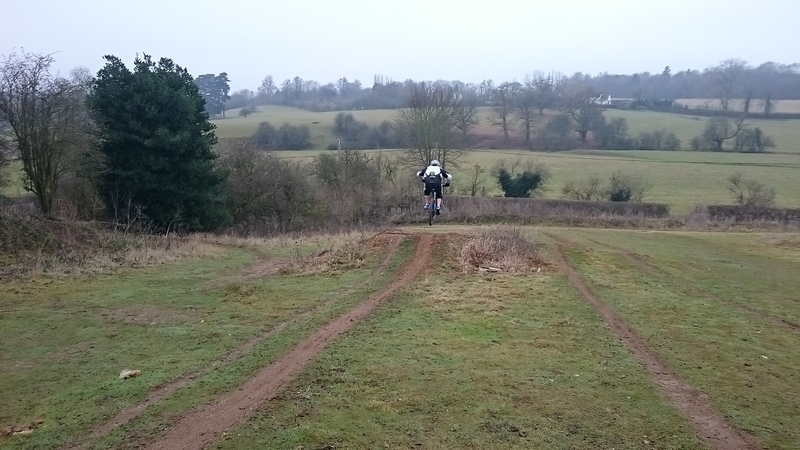 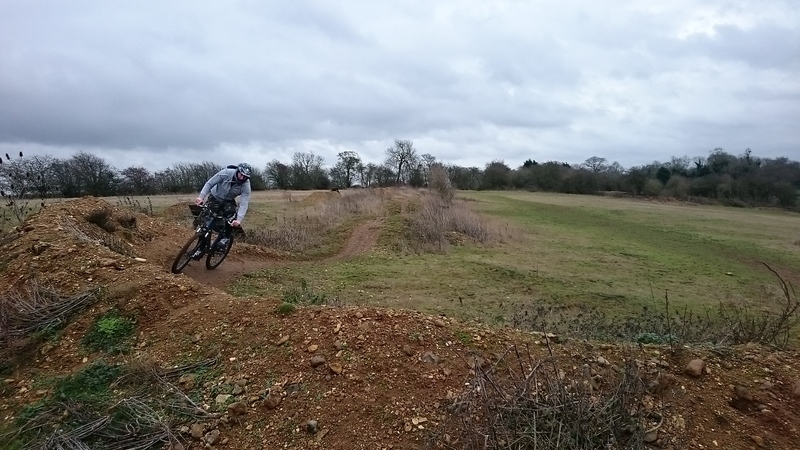 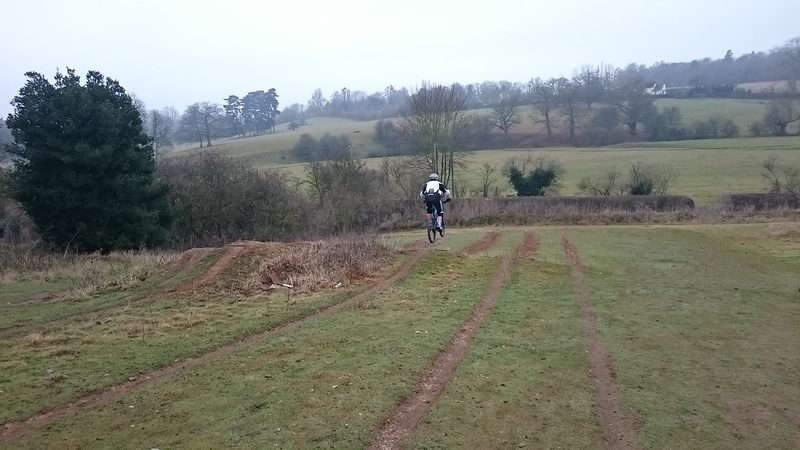 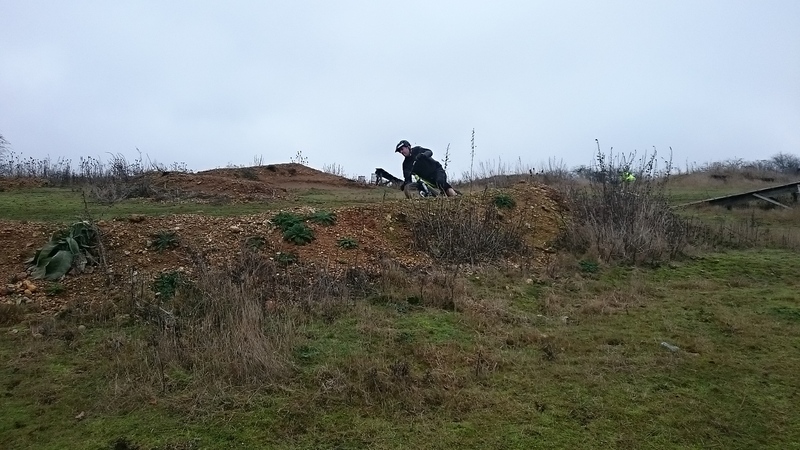 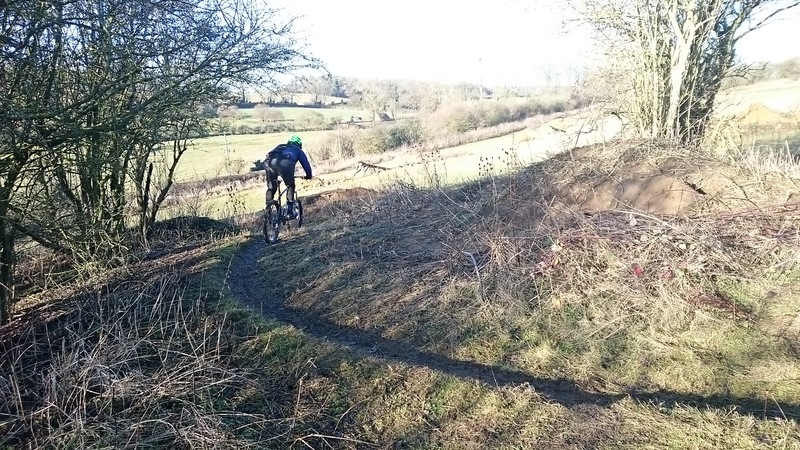 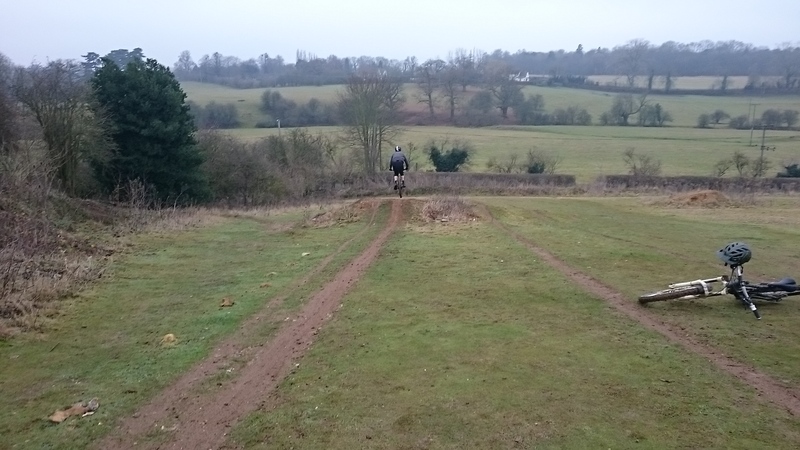 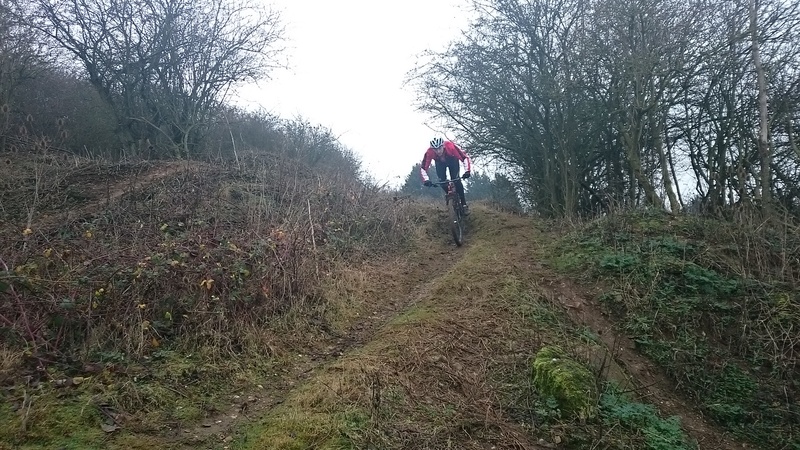 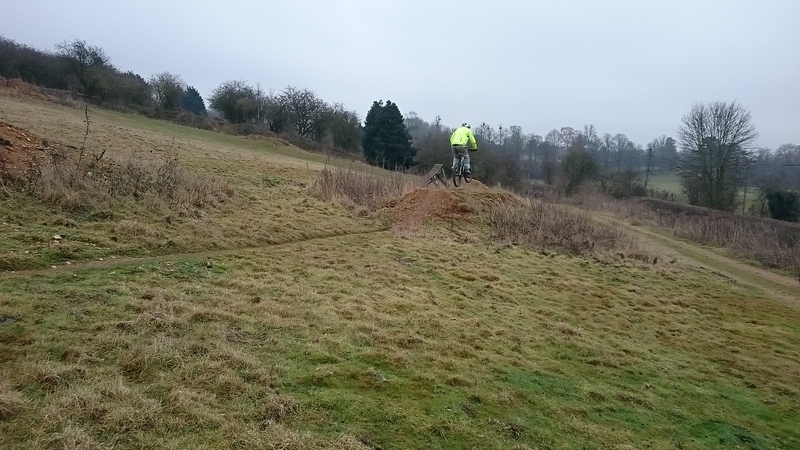 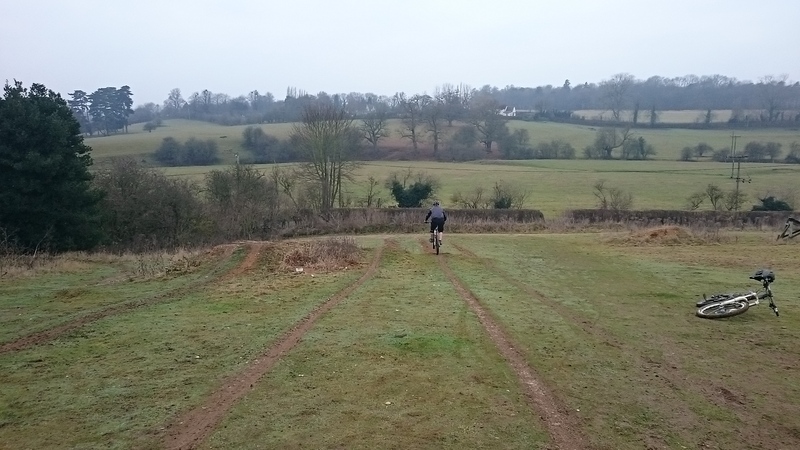 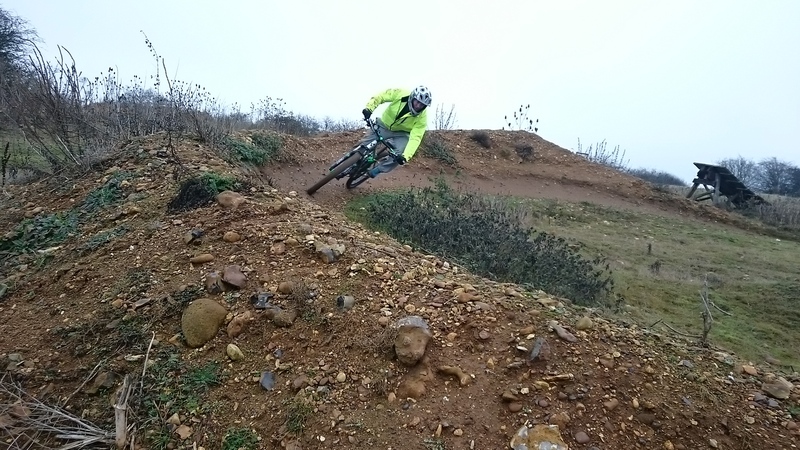 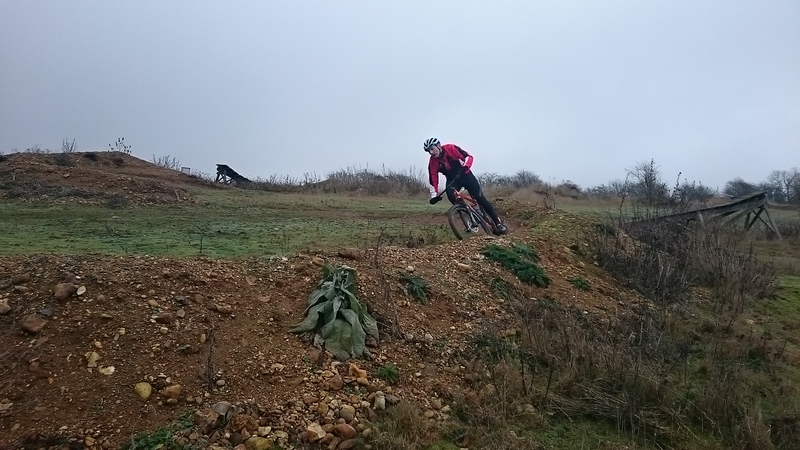 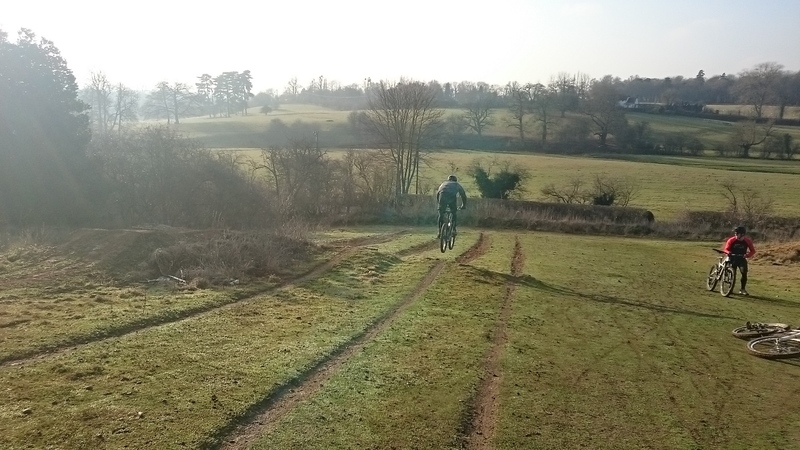 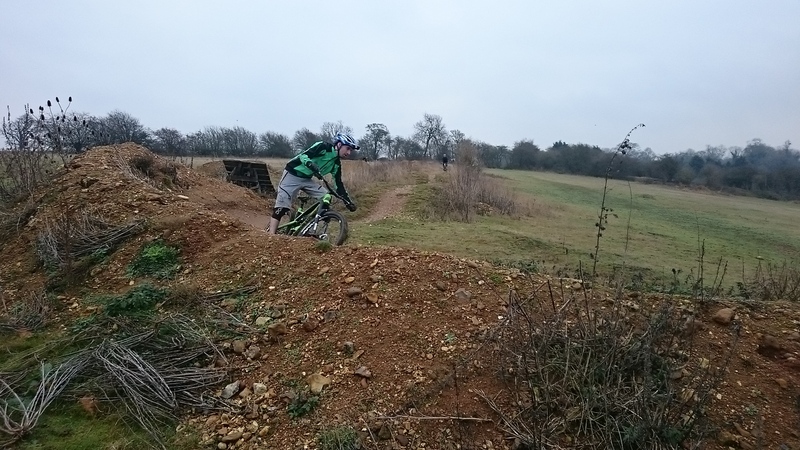 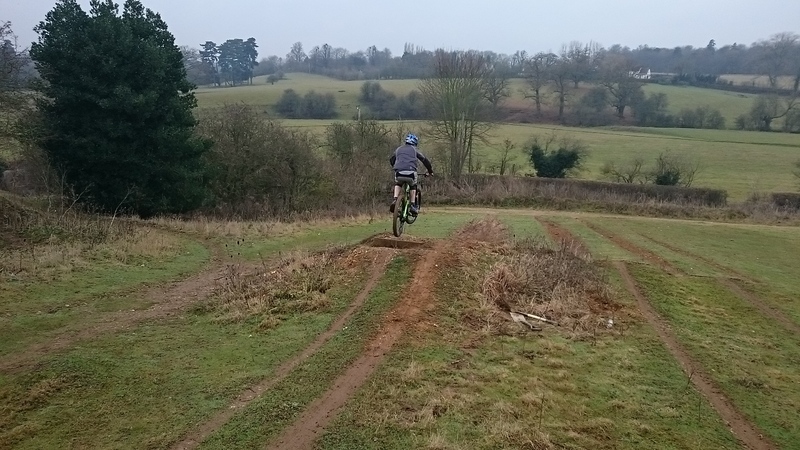 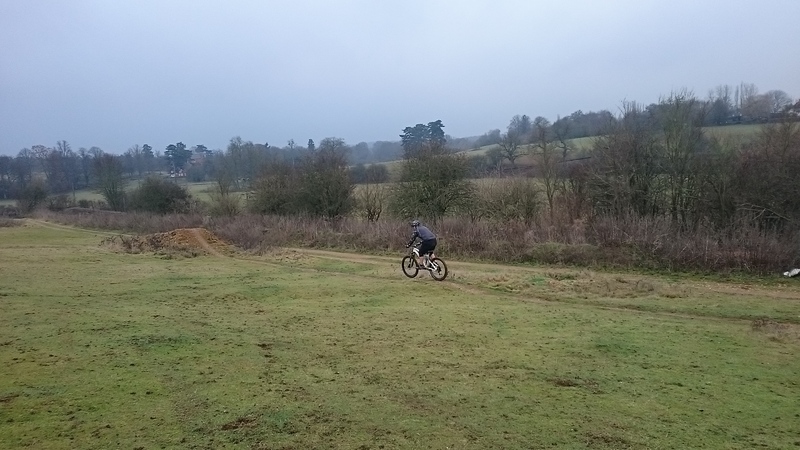 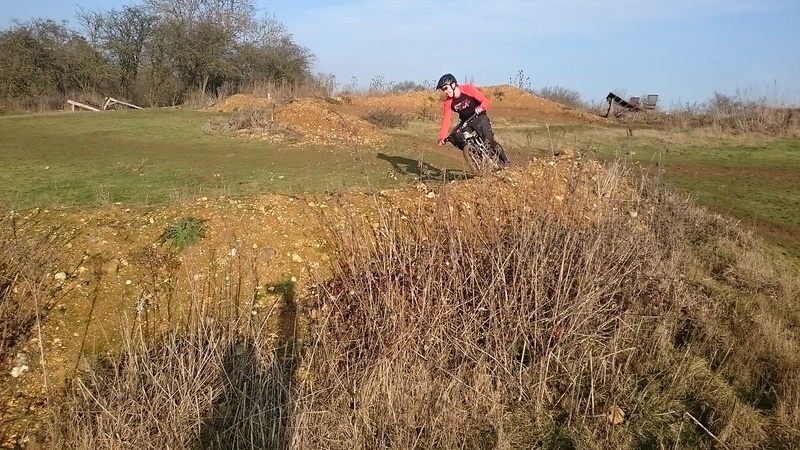 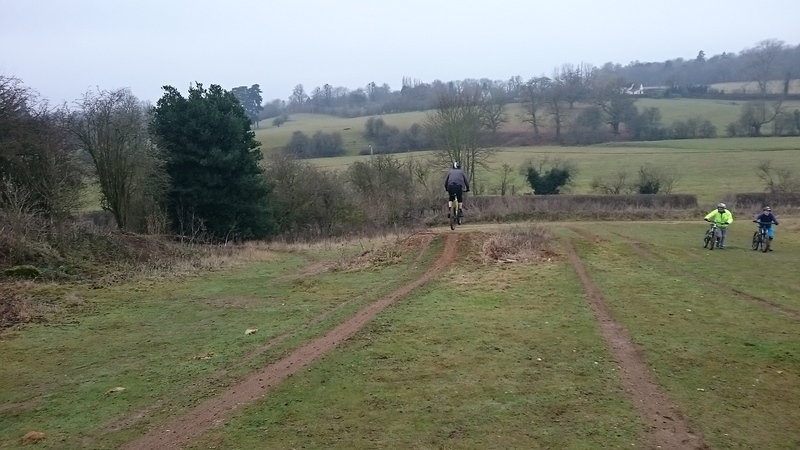 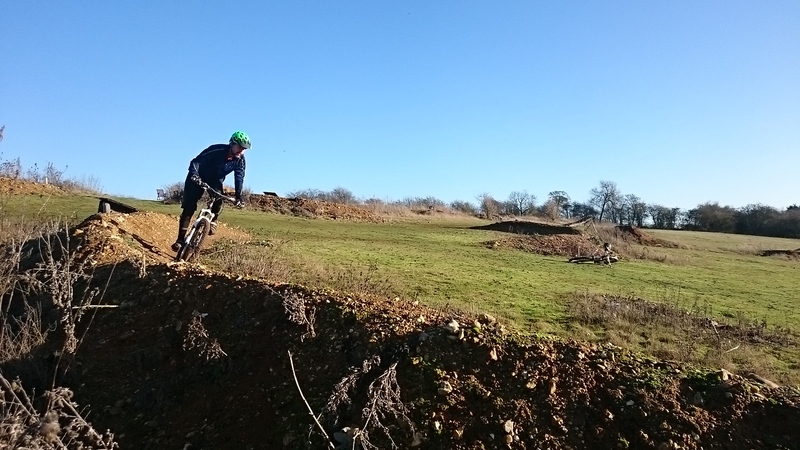 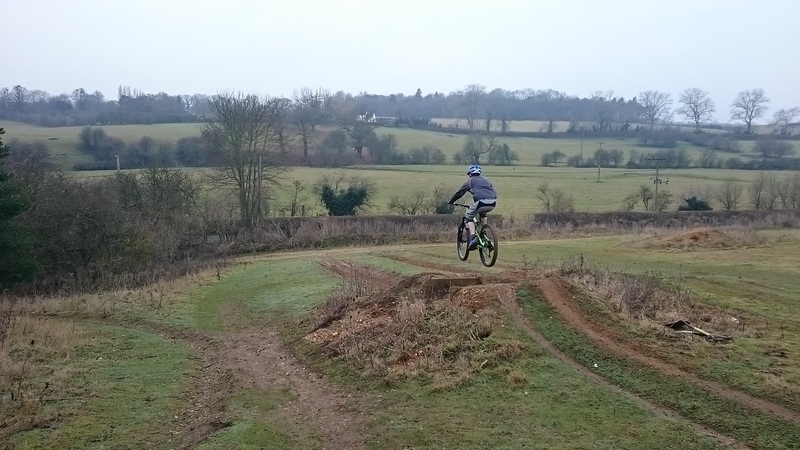 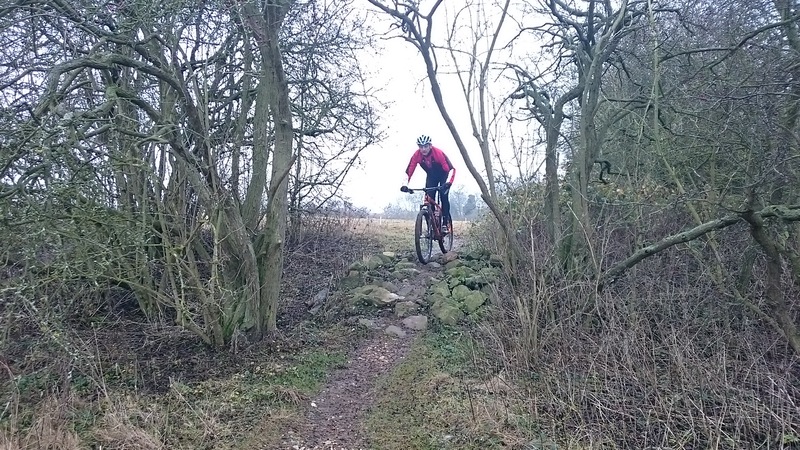 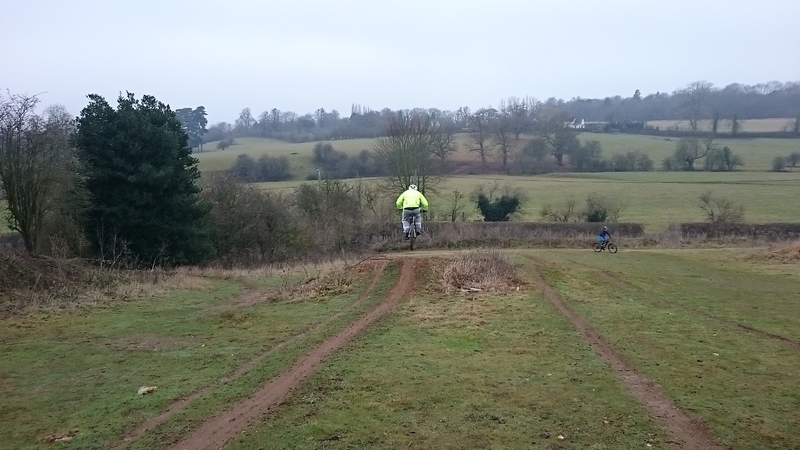 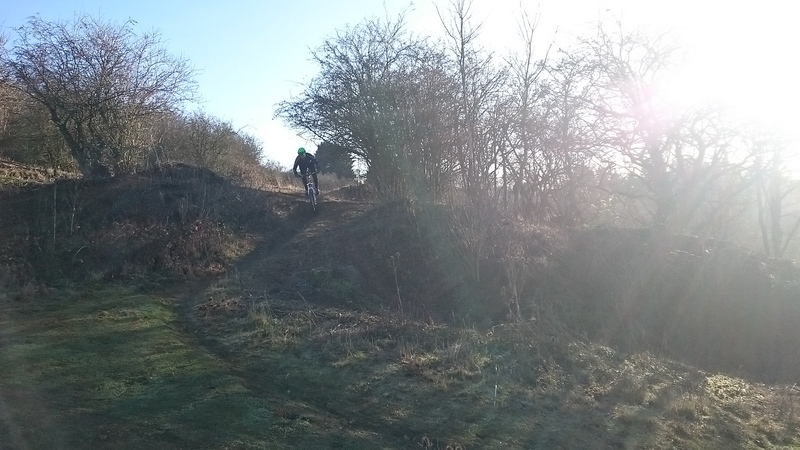 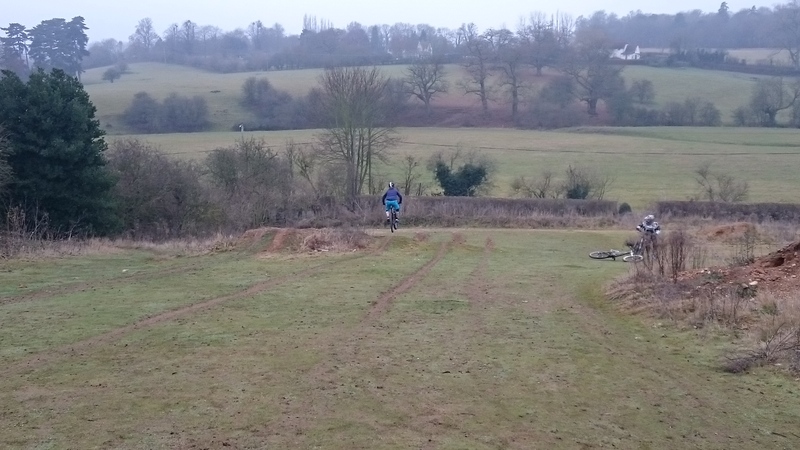 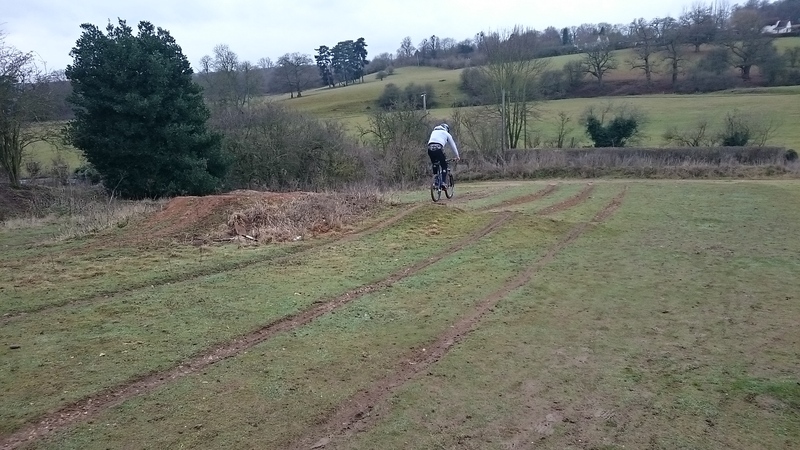 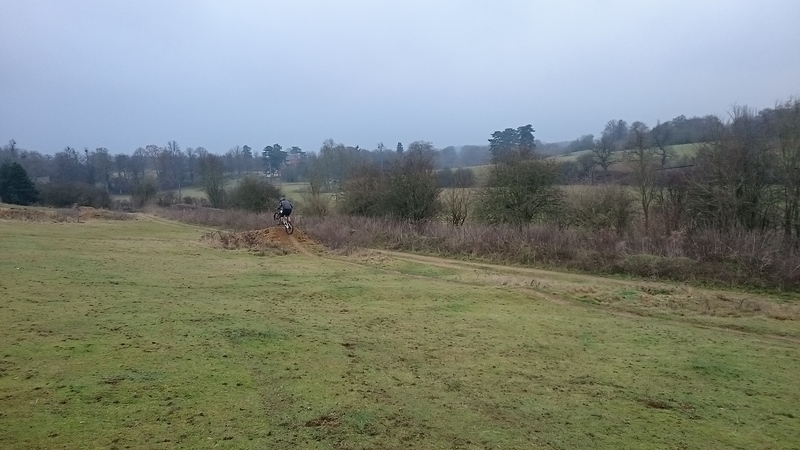 Phil brought along his hardtail and wanted an “xc skills” based session. 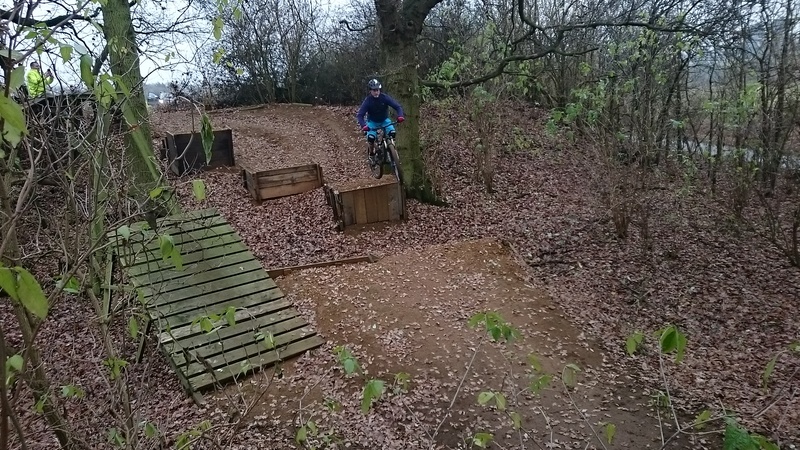 Through the session I gradually built his skills sets back up from riding over obstacles, flowing through turns on singletrack to linking berms .hil was loving it so much that he started to jump once again by his own decision and I knew he was back where he wanted to be with hi riding and my job for now was done. 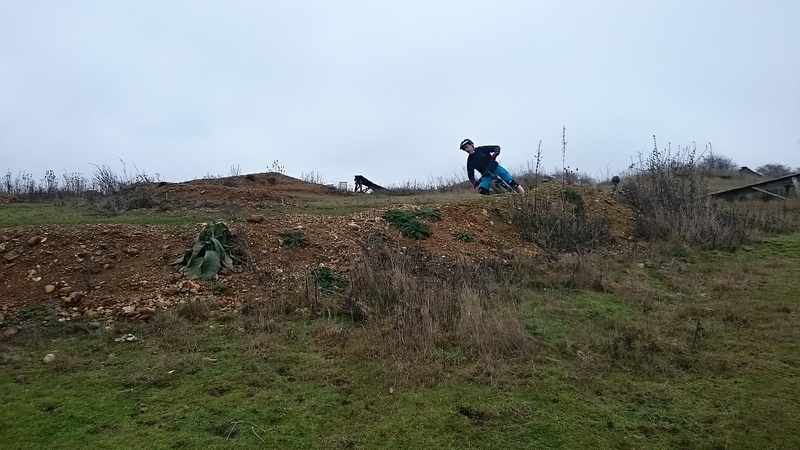 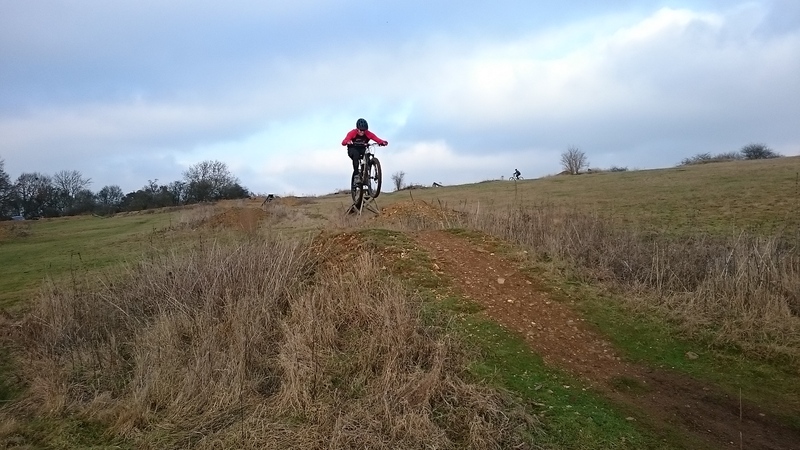 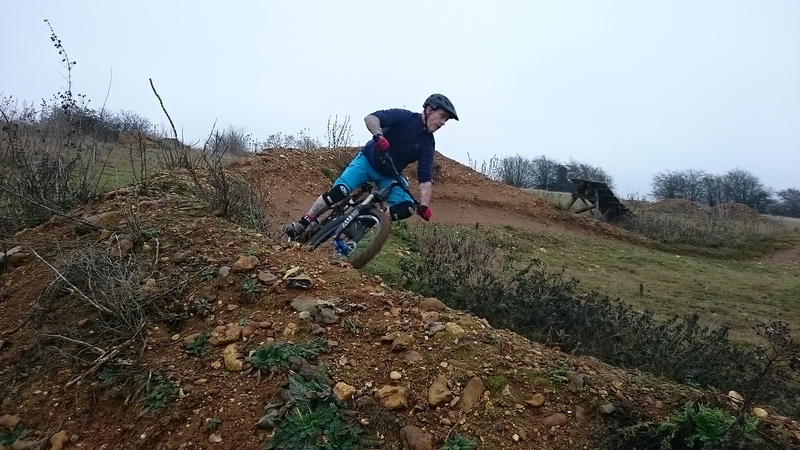 Russell hasn’t been mtbing long and wanted a session to work on his control on trails. 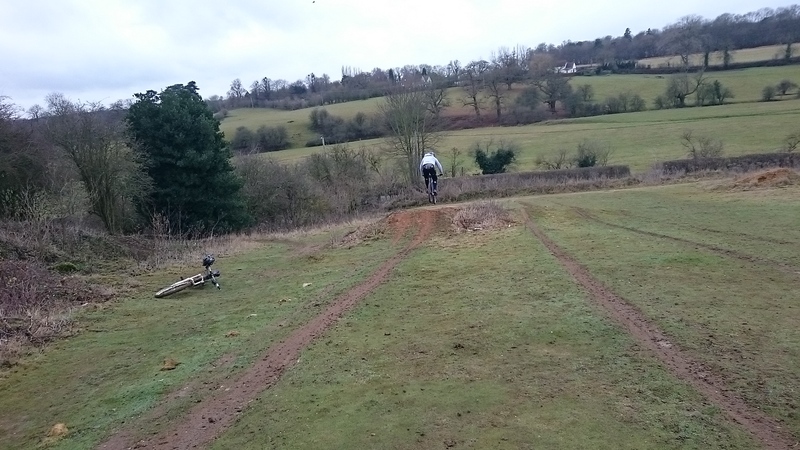 We worked on drop offs, cornering, pumping and getting wheels into the air from drops. 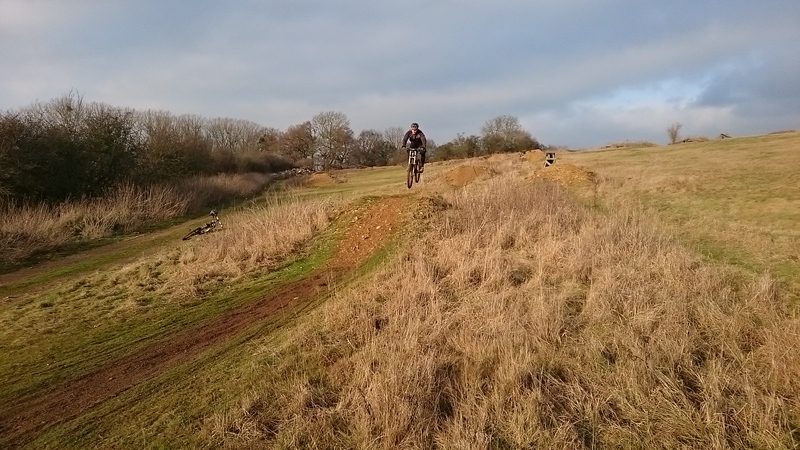 Slowly but surely, Russell developed a knowledge of why it was right or wrong in a section and his riding got better and better. 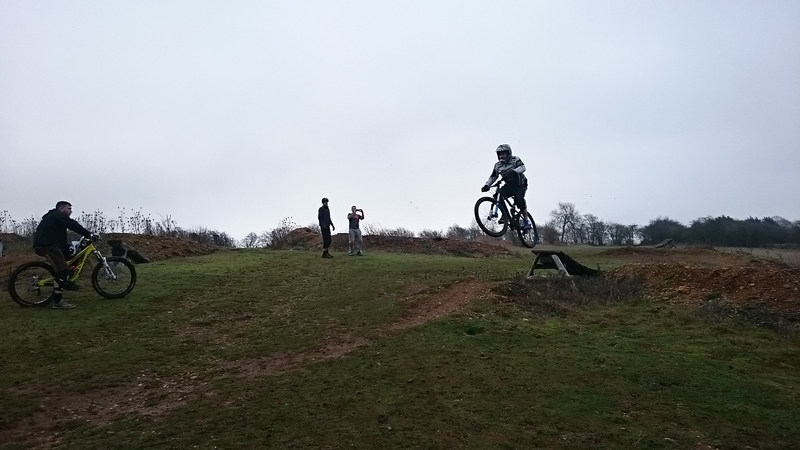 I coached Fergus a year or so ago and he wanted to return and share a session with Steve whose wife got the session as a gift voucher. 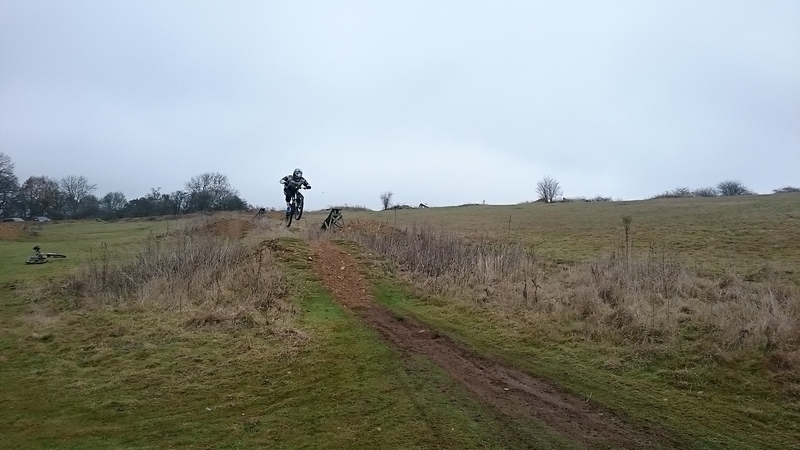 They wanted to work on cornering and getting over obstacles on the trails as well as maybe jumping. 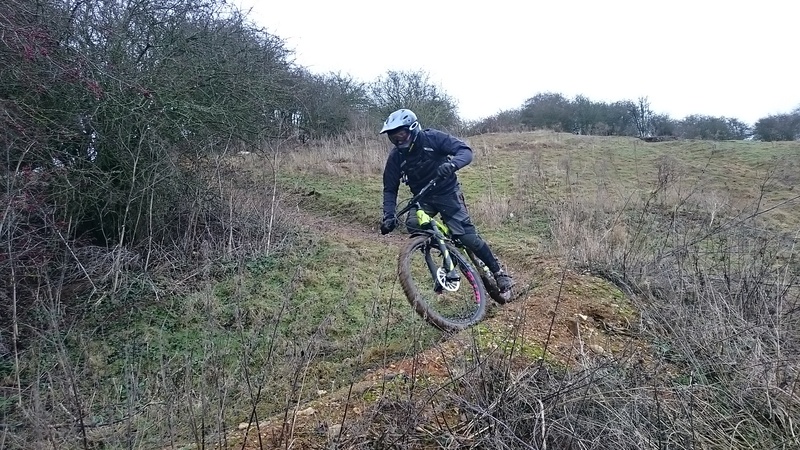 I think I’ll let the pics and videos speak for themselves. 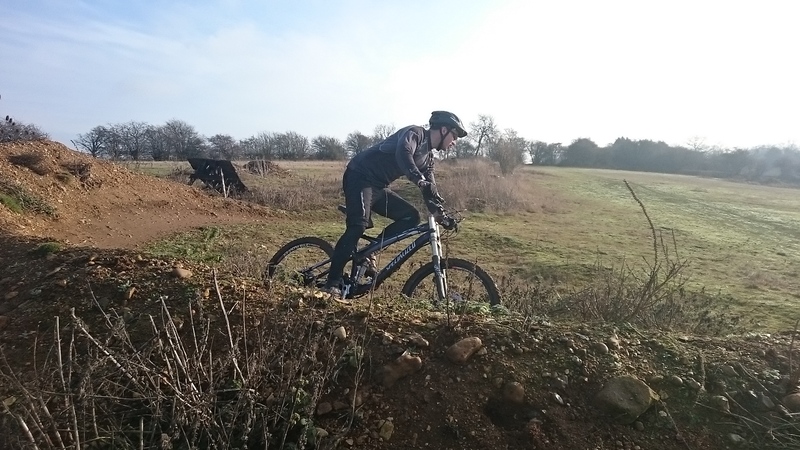 Bryan wanted to unlock the rider inside and discover what was possible for him in his riding. 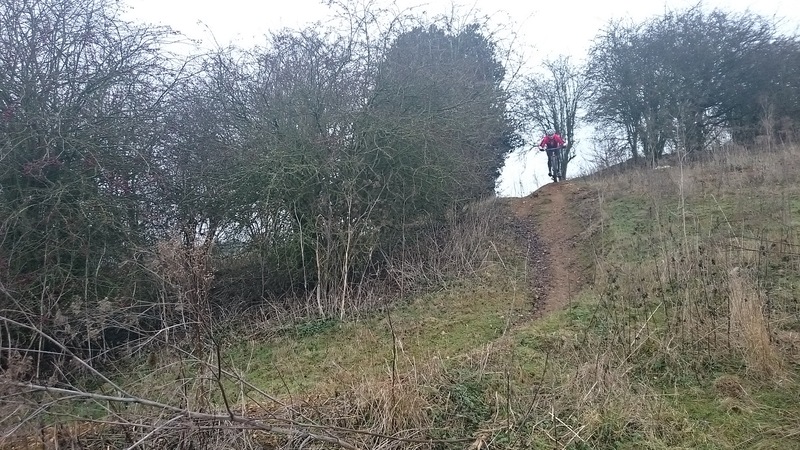 Well, the pictures tell the tale. 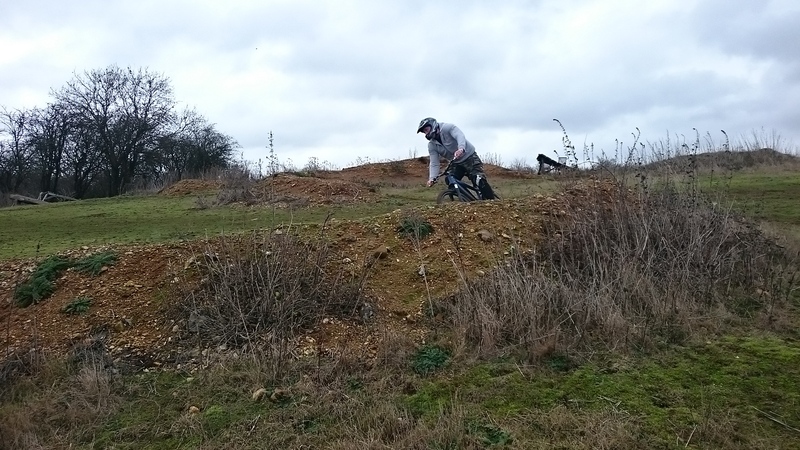 A great session unfolded. 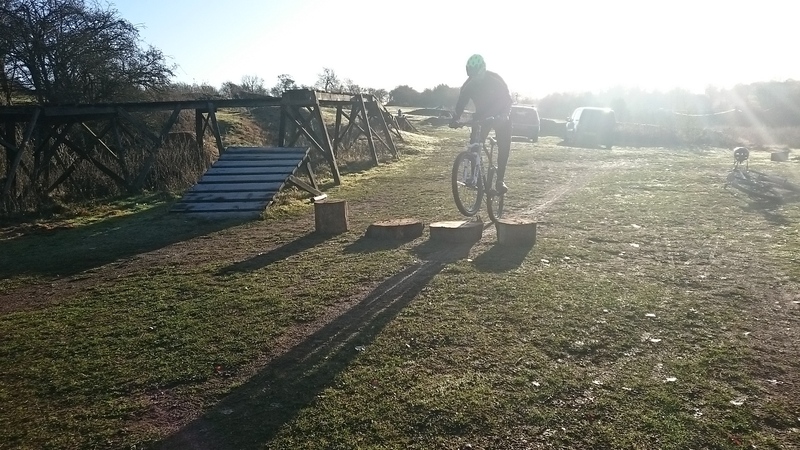 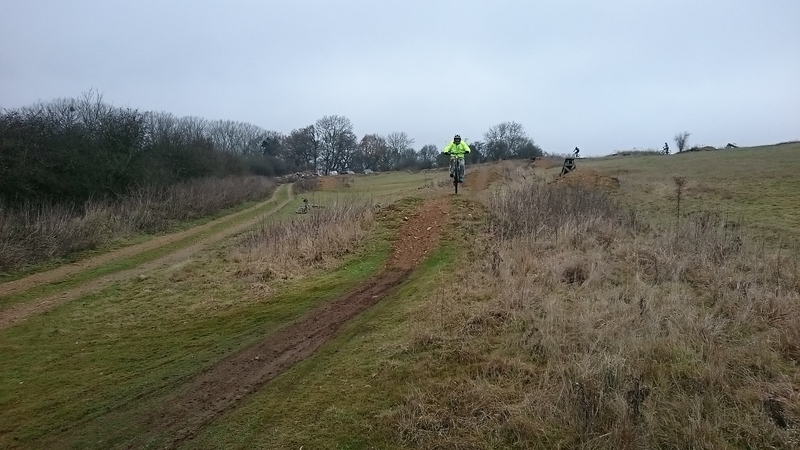 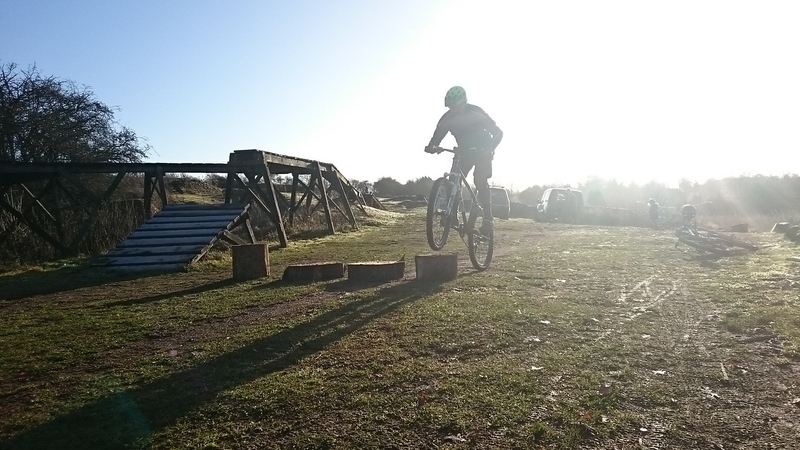 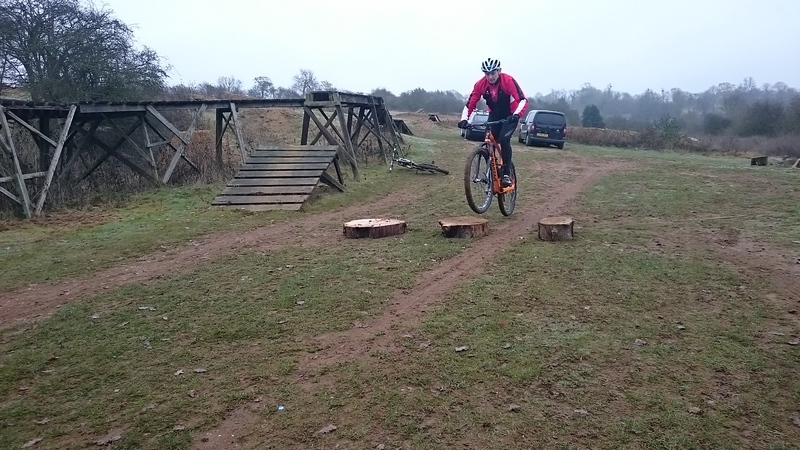 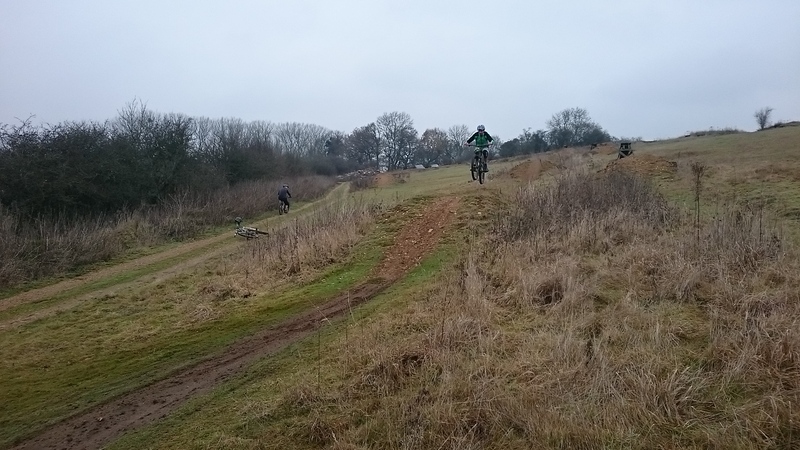 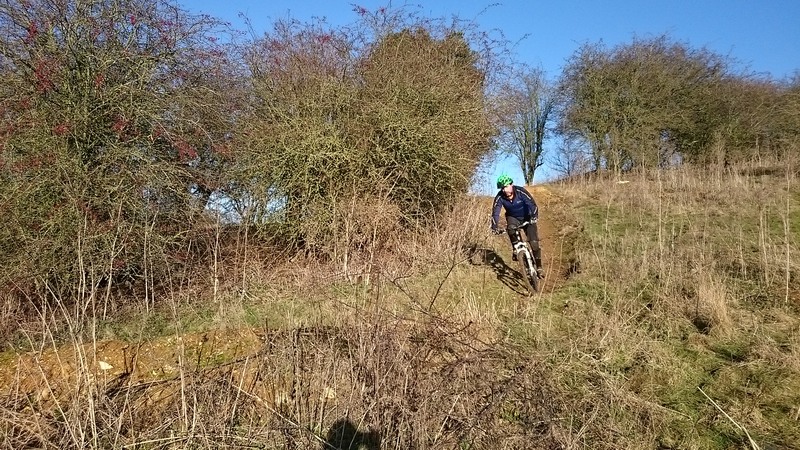 Paul, Dan, Neil and Richard Have been coached elsewhere before and were not happy with their improvements and wanted to come to us at ukbikeskills.co.uk for a session. 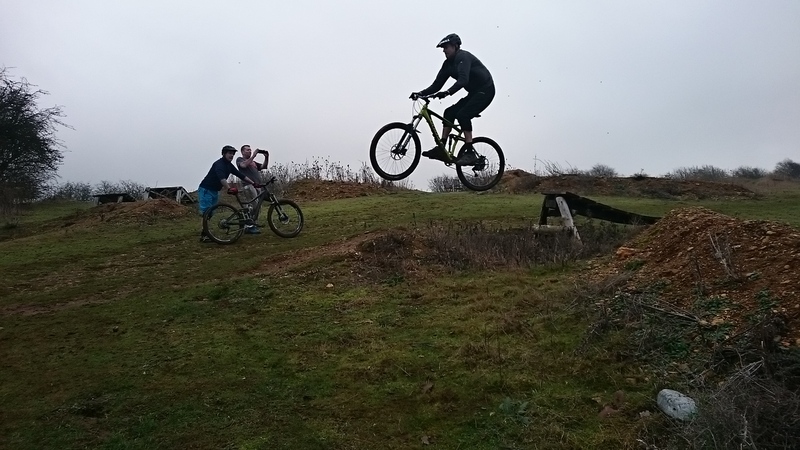 Myself (jedi) was their coach and I began with identifying the missing skills from techniques they already had before correcting them and applying their new skills to the techniques we at ukbikeskills teach. 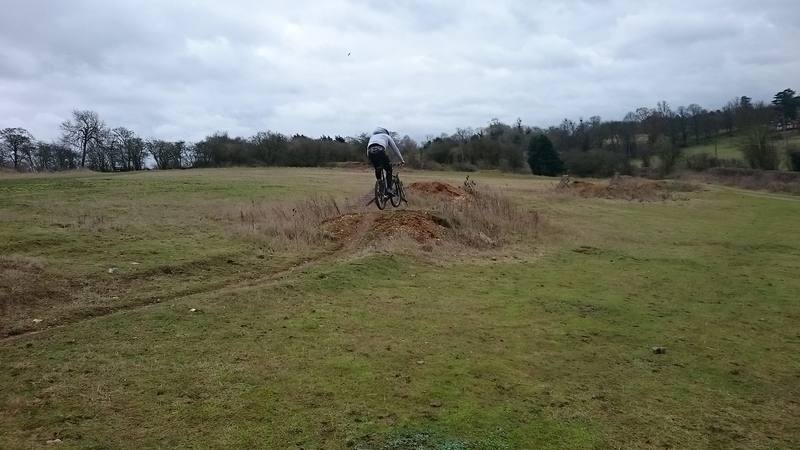 What a session it turned out to be. 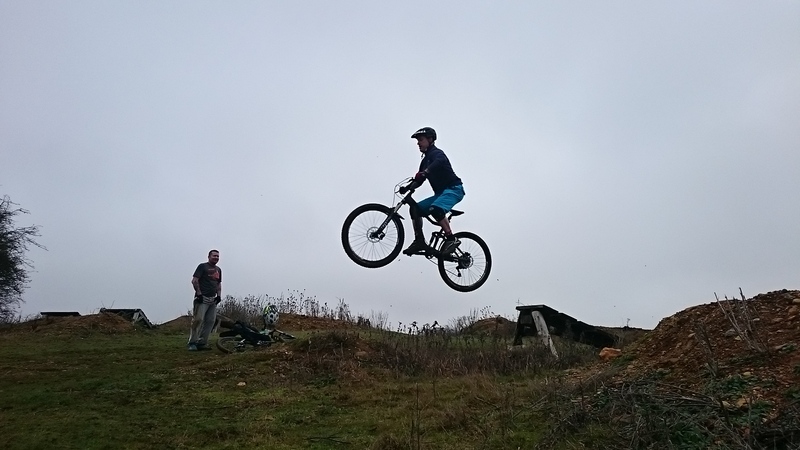 They Wanted to learn to fly, ok I said. 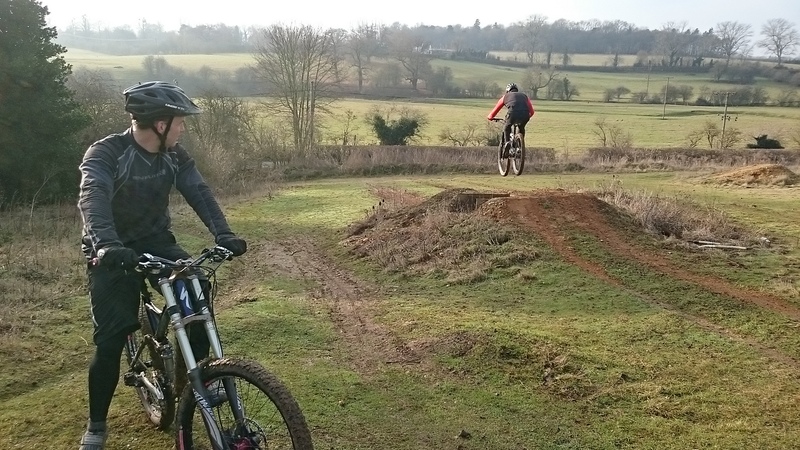 Jon and Chris came to me nearly two years ago and didn’t ride much afterwards as family commitments etc got in the way. 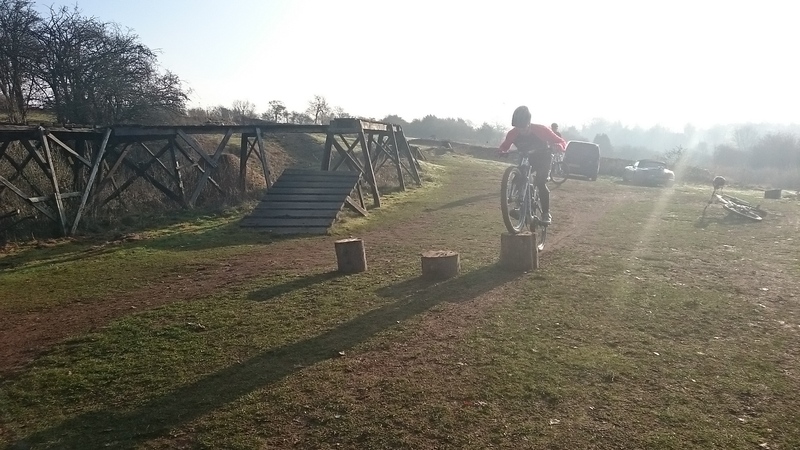 They wanted to go through what we covered last time and maybe push on further with jumping. 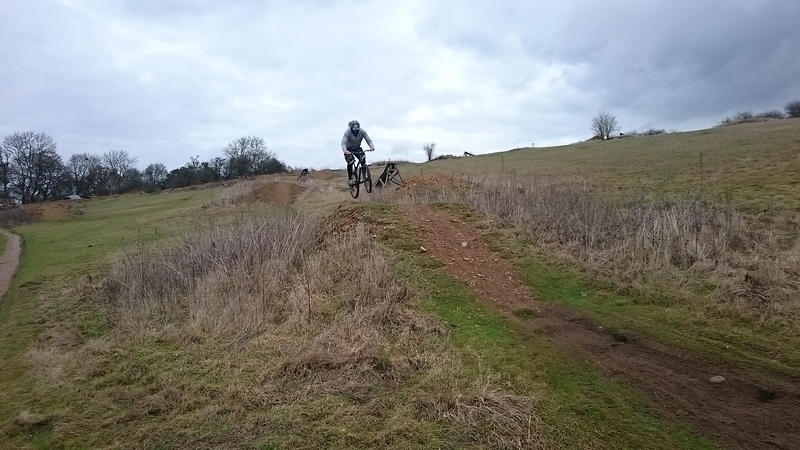 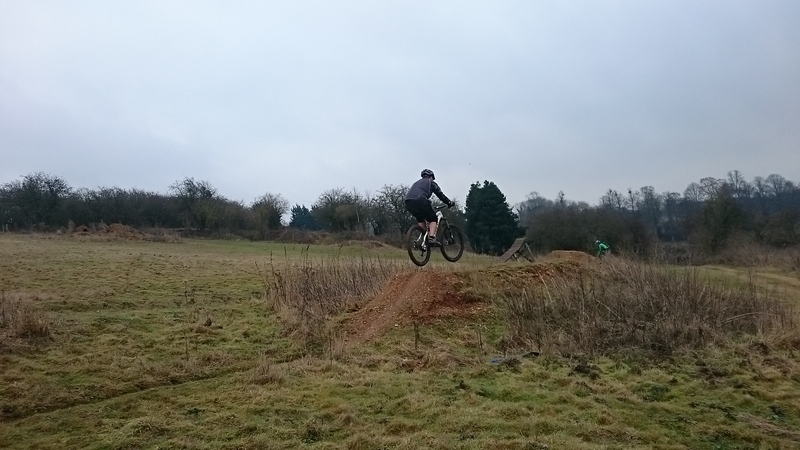 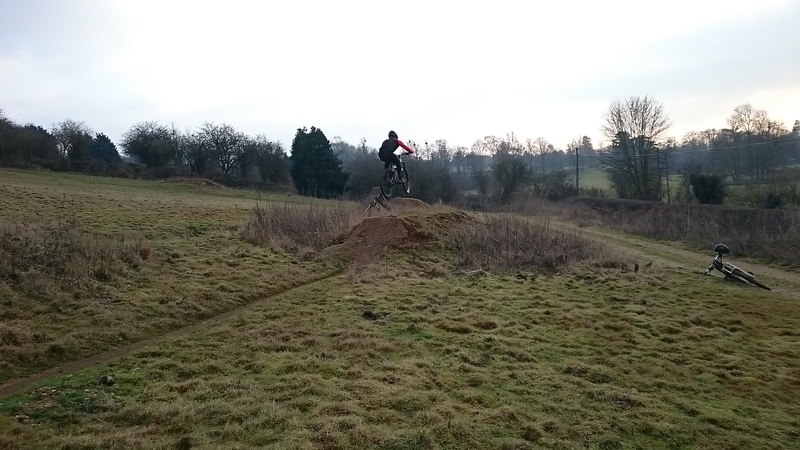 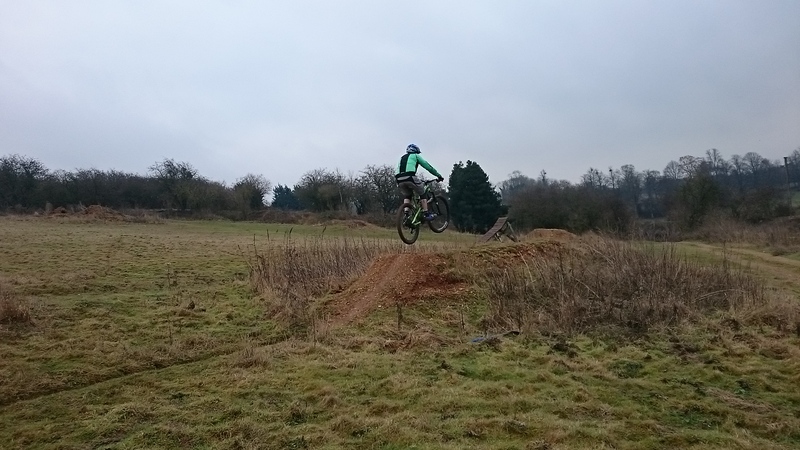 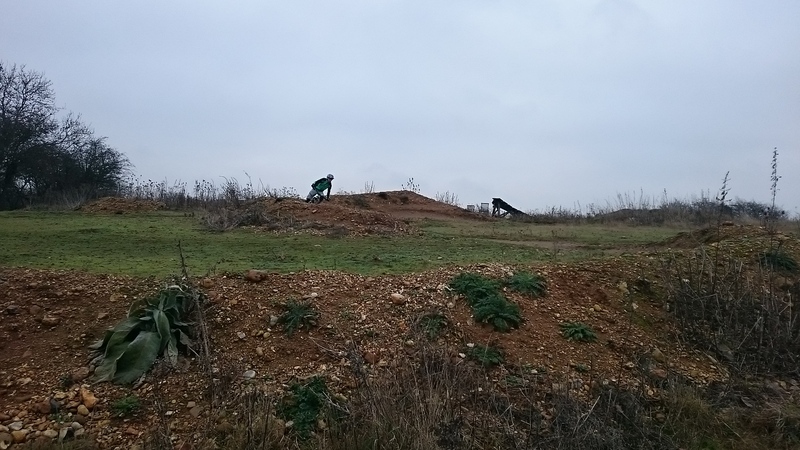 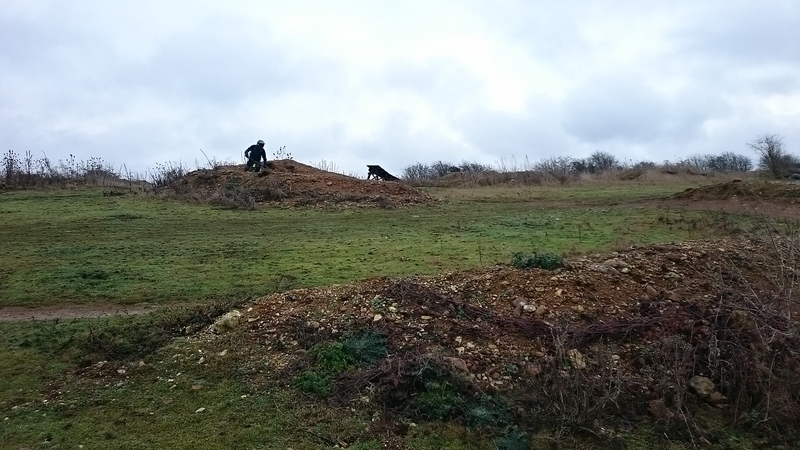 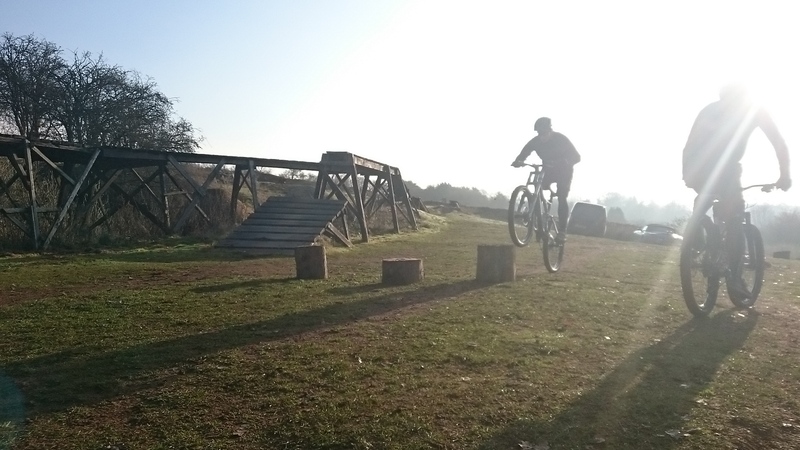 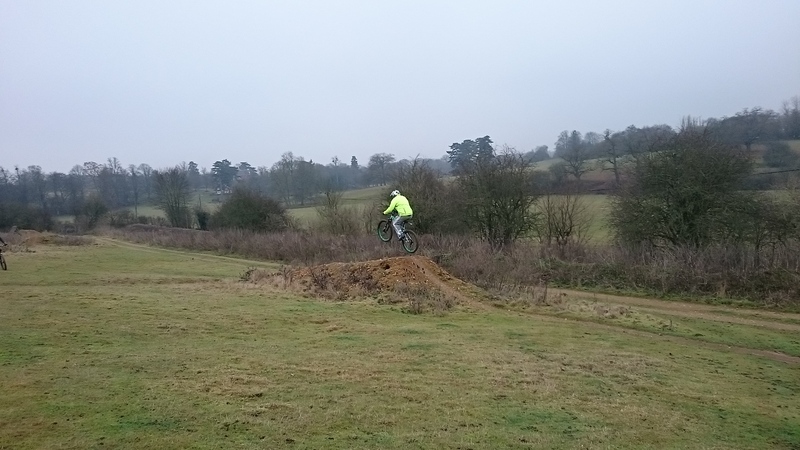 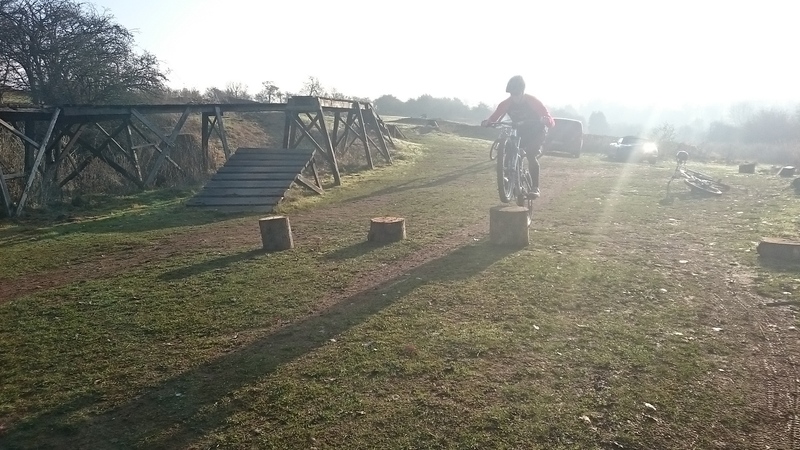 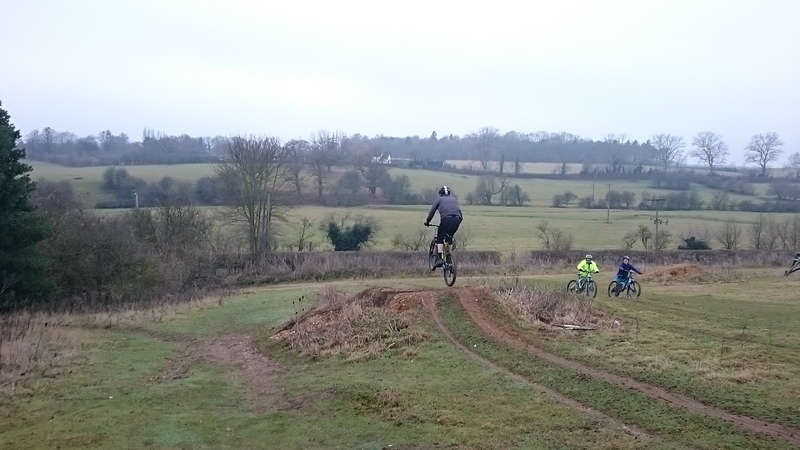 Well, the session worked out beautifully, berms, drops, jumps, pumping and linking jumps together were all part of the session. 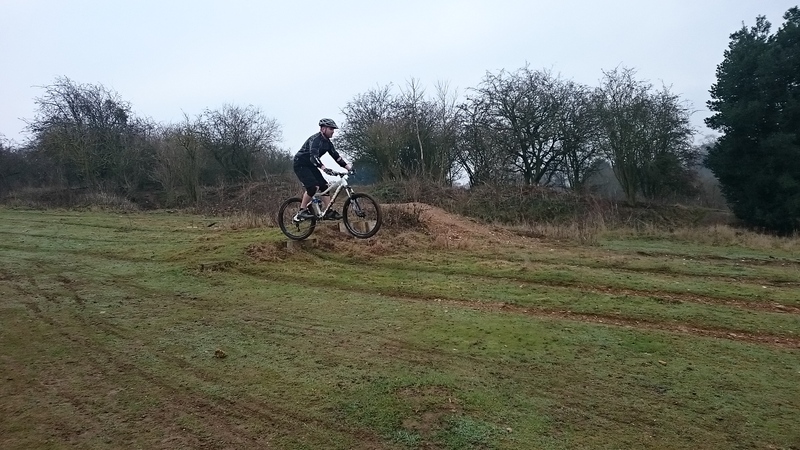 Jon even managed a couple of gap jumps also.